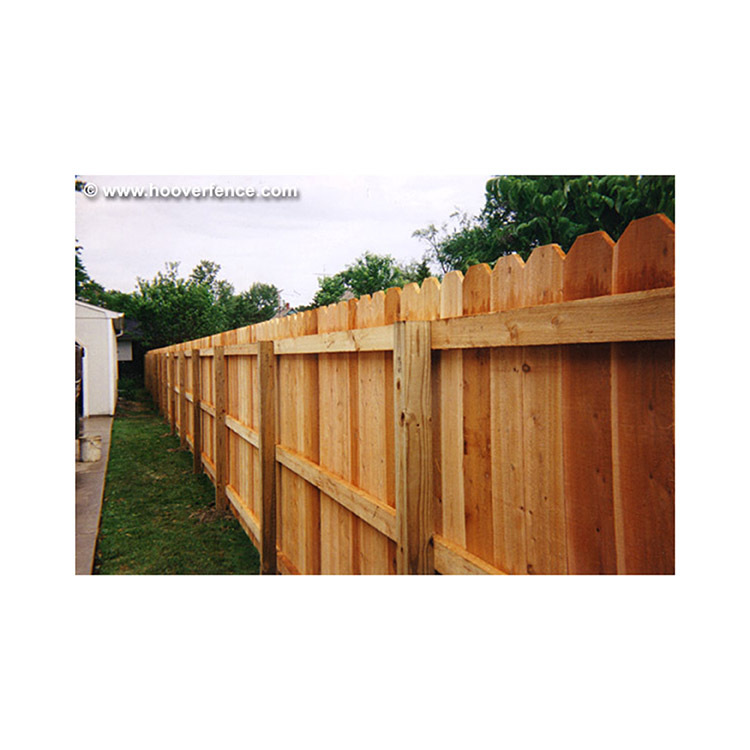 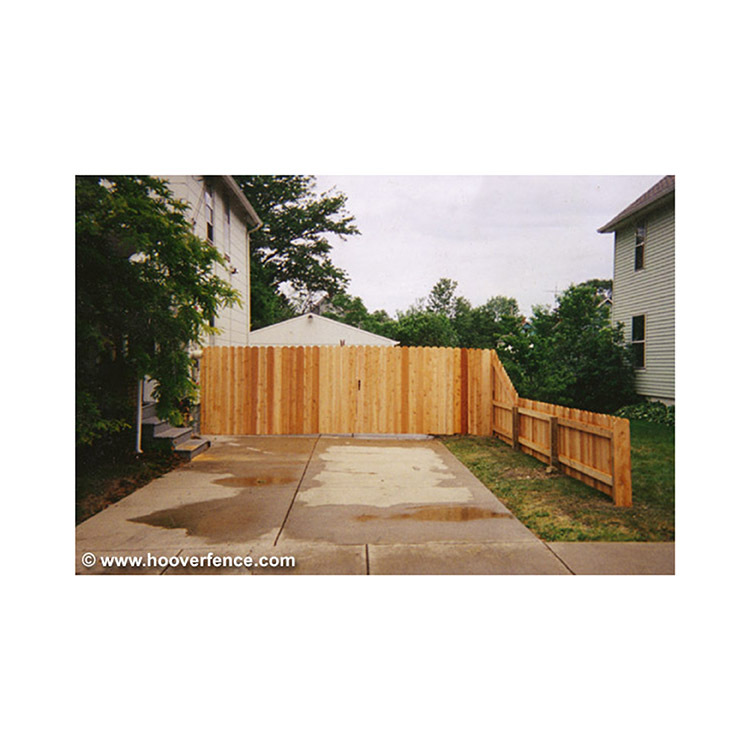 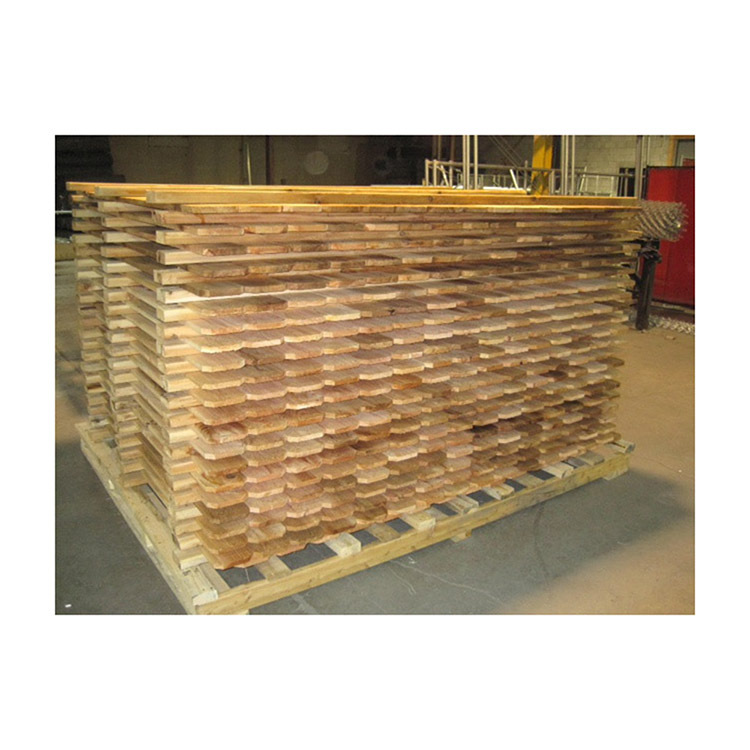 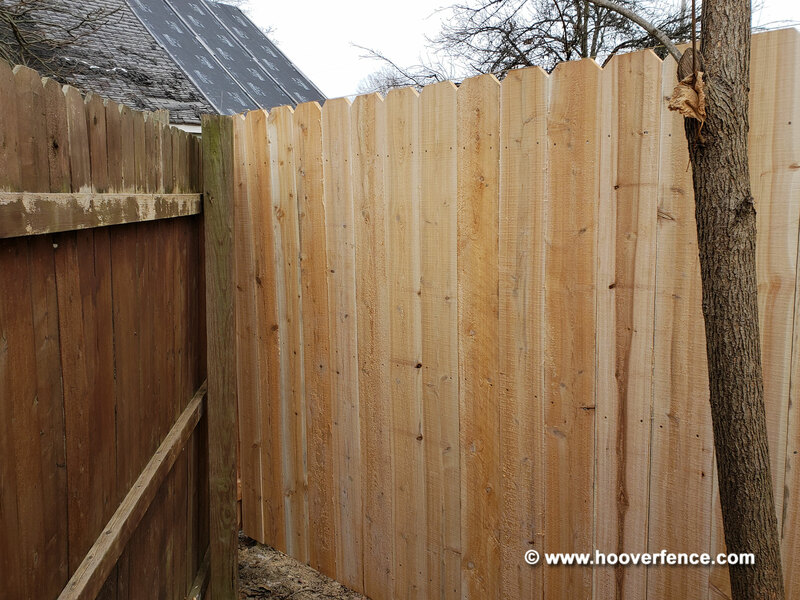 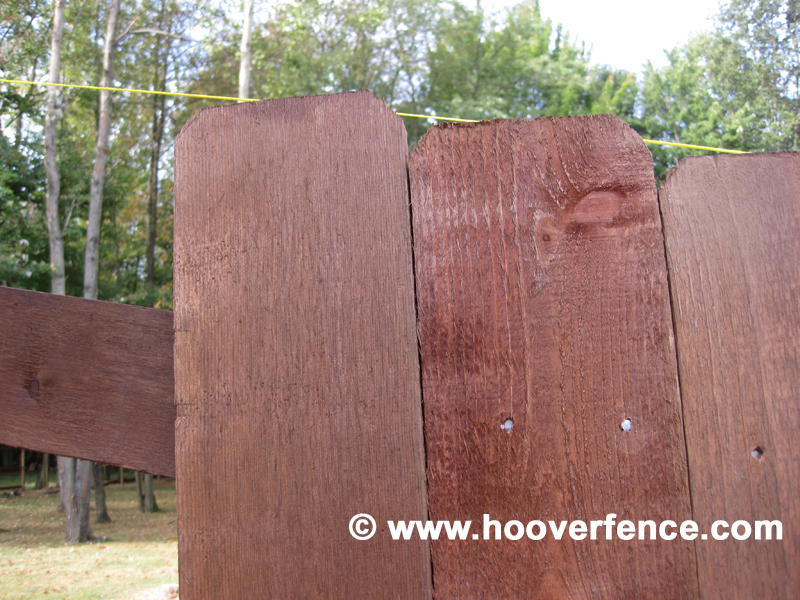 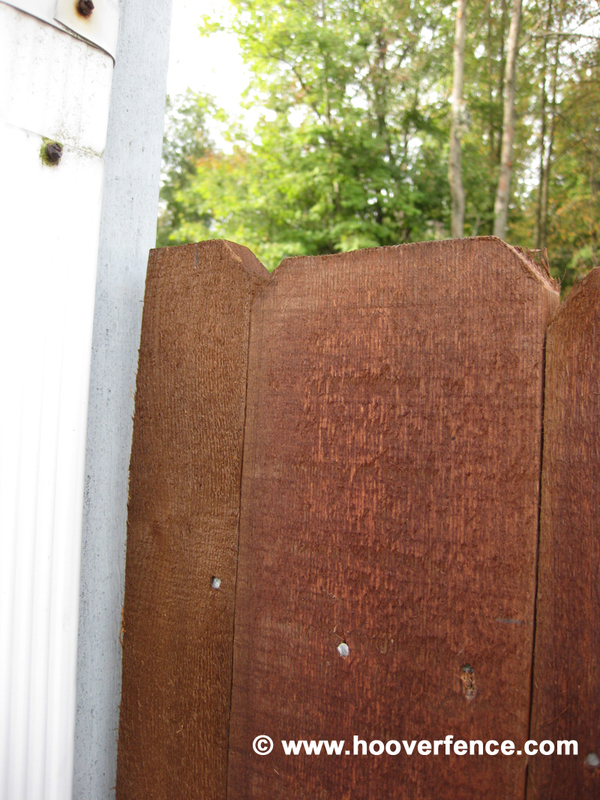 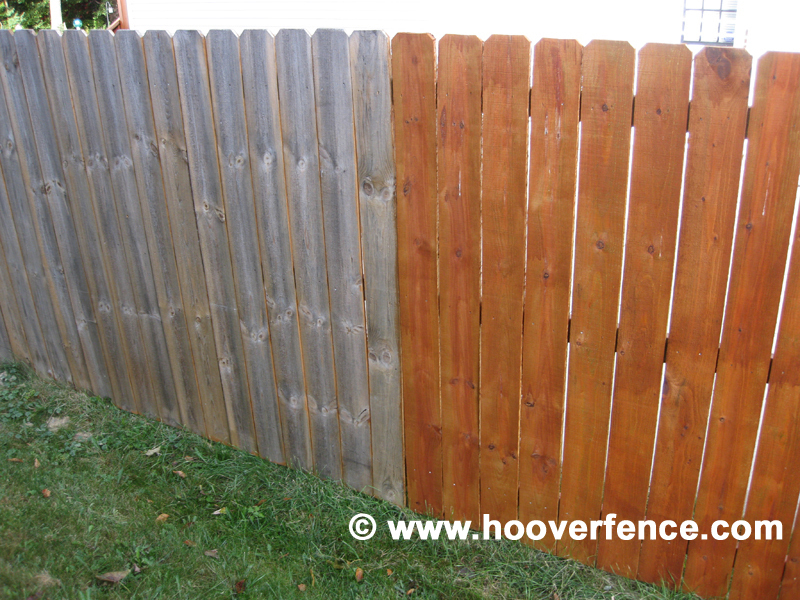 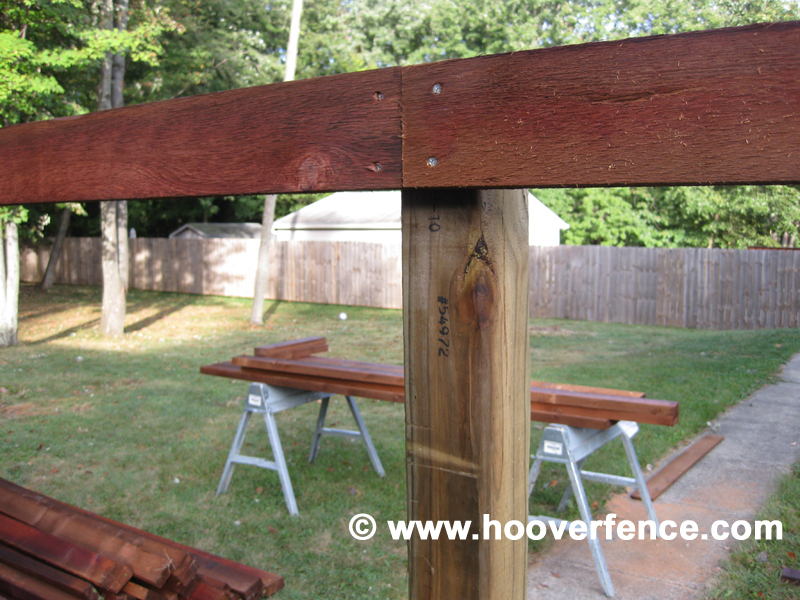 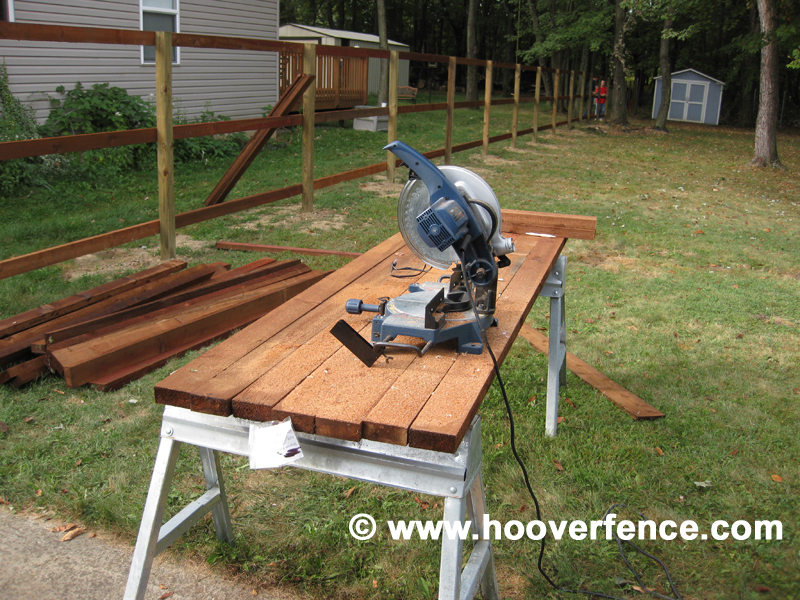 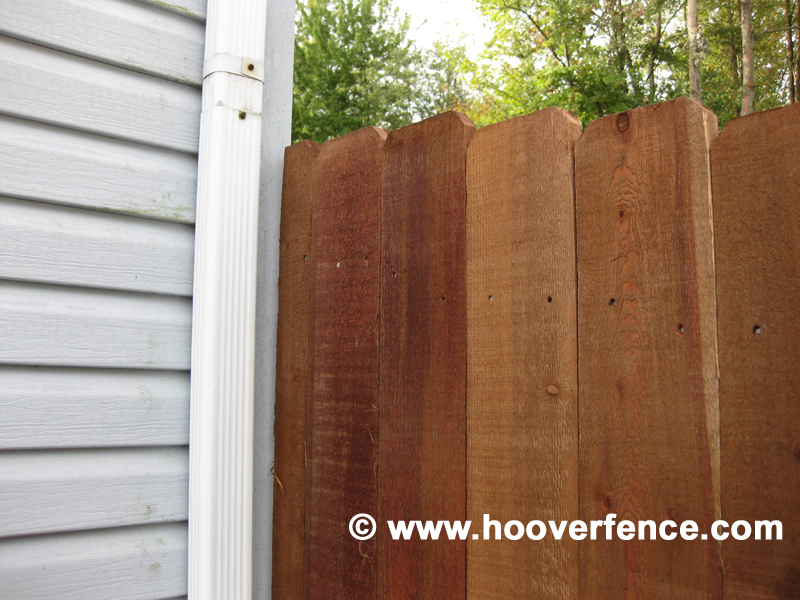 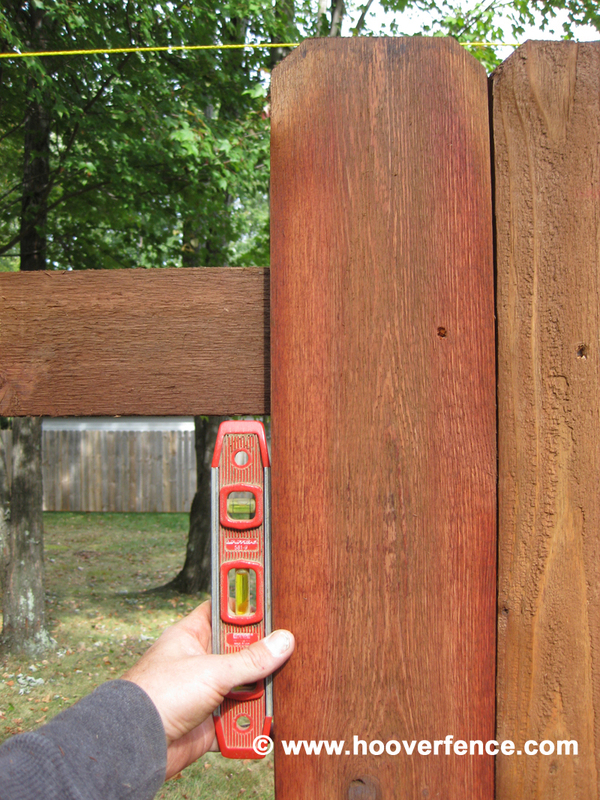 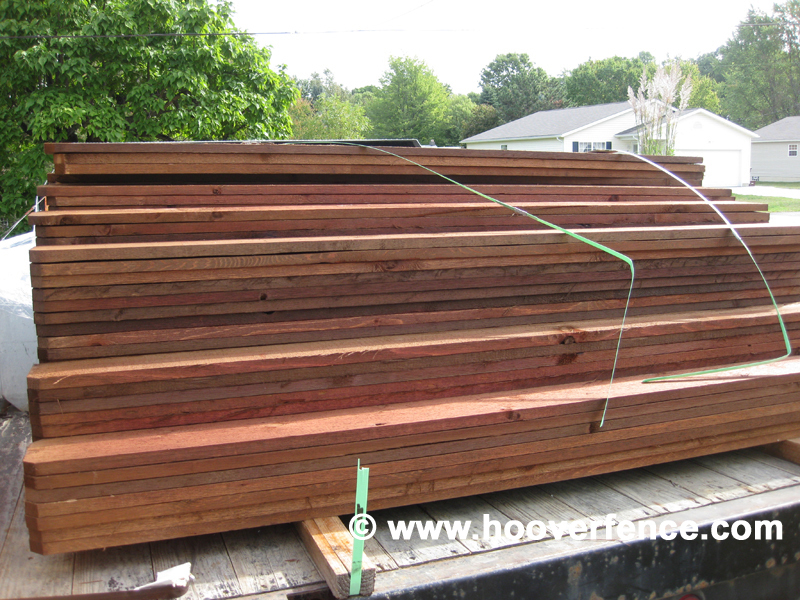 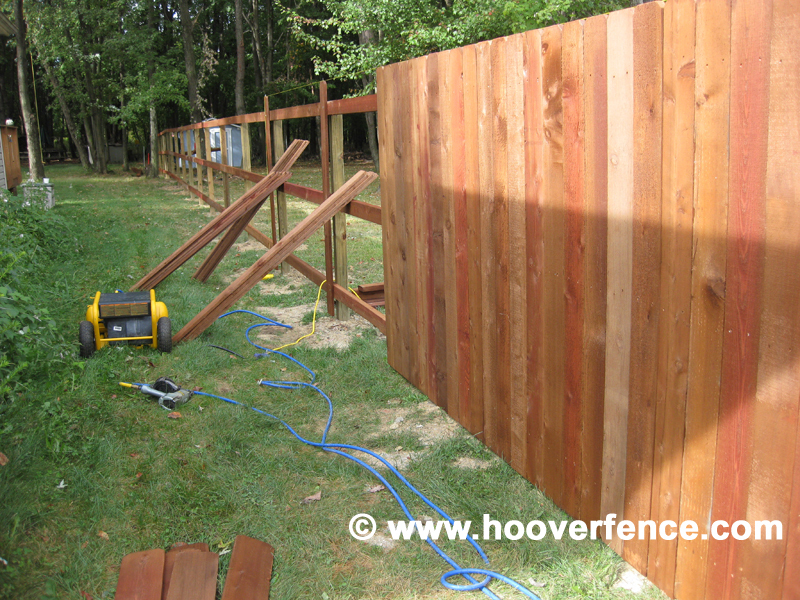 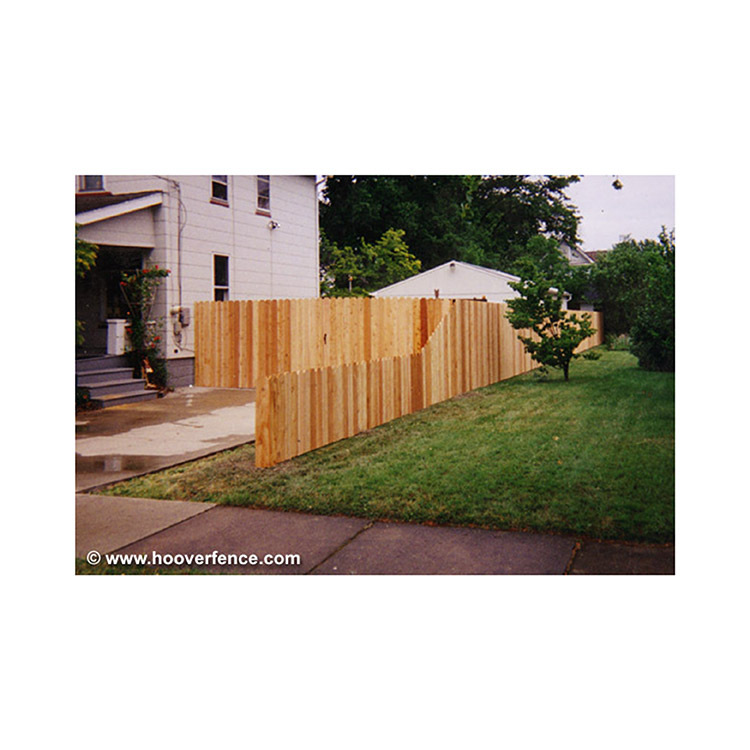 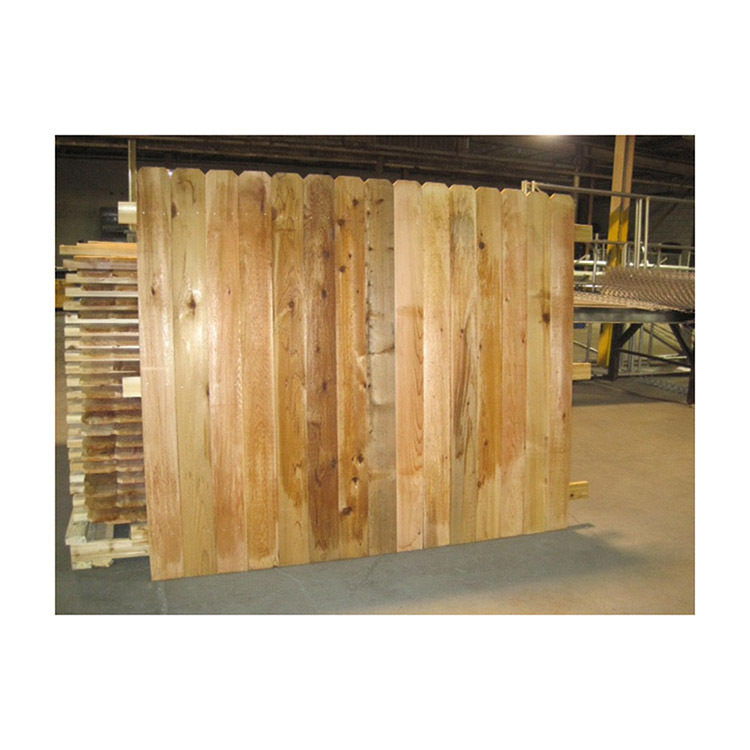 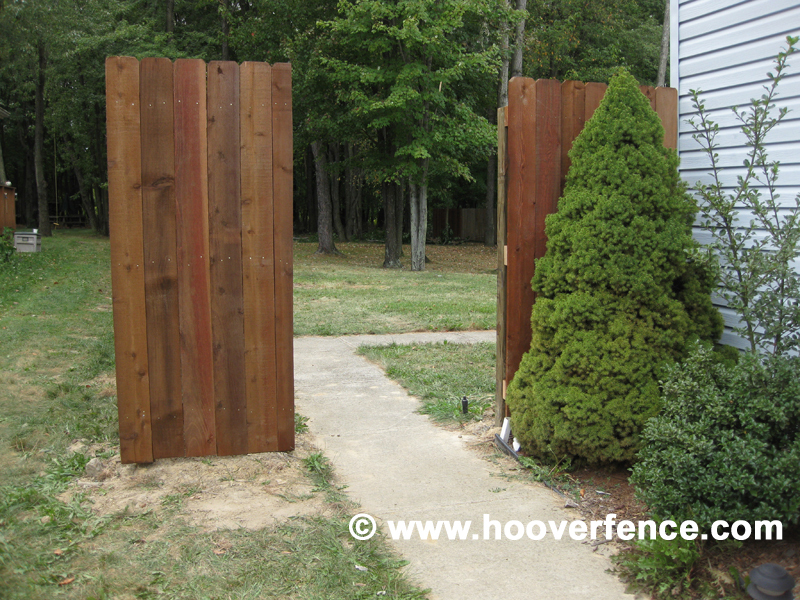 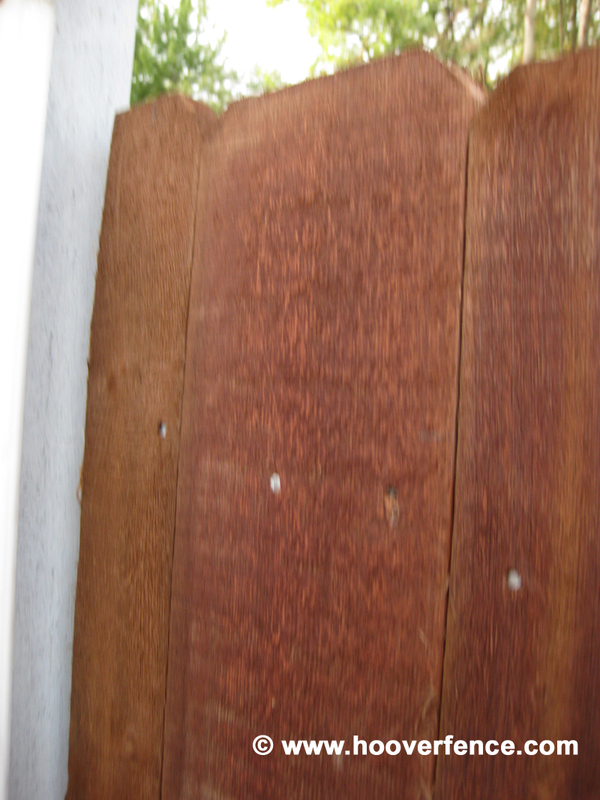 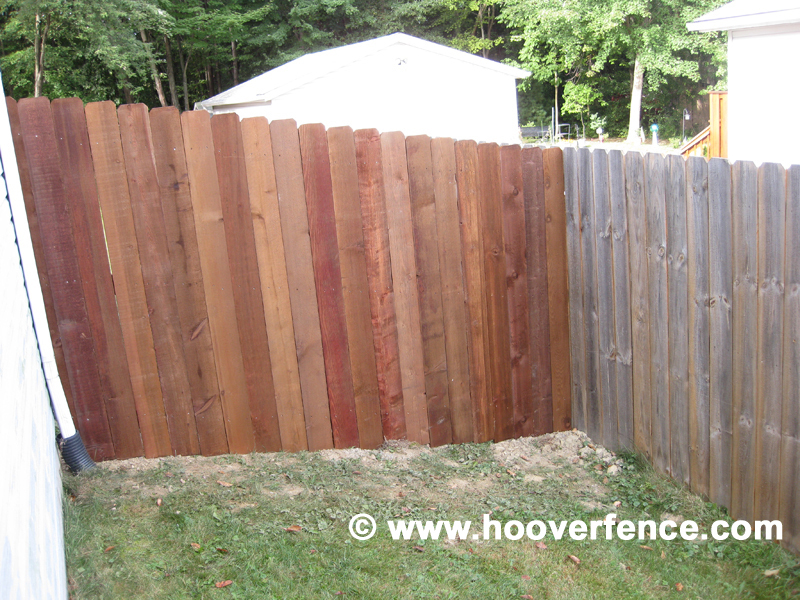 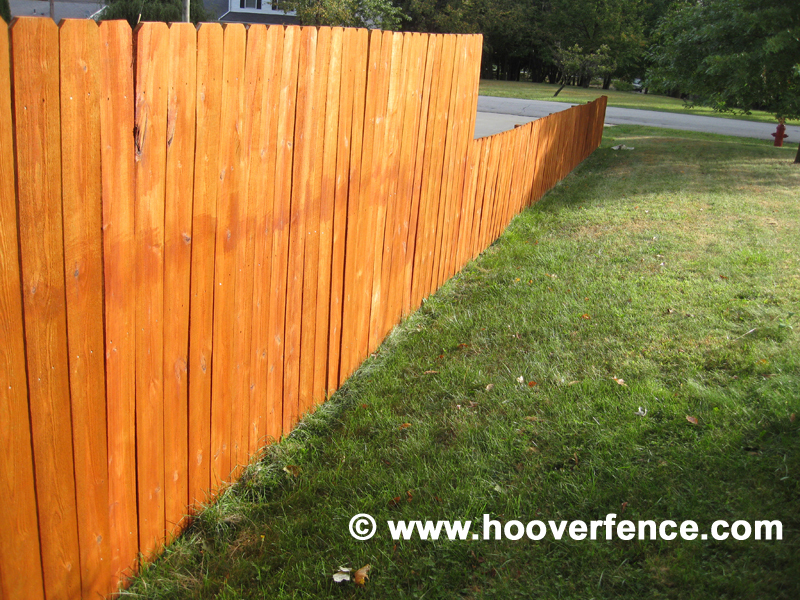 Solid Dog Ear Wood Fence Panels - Straight Top - Cedar | Hoover Fence Co.
We also offer this style in Treated Pine. 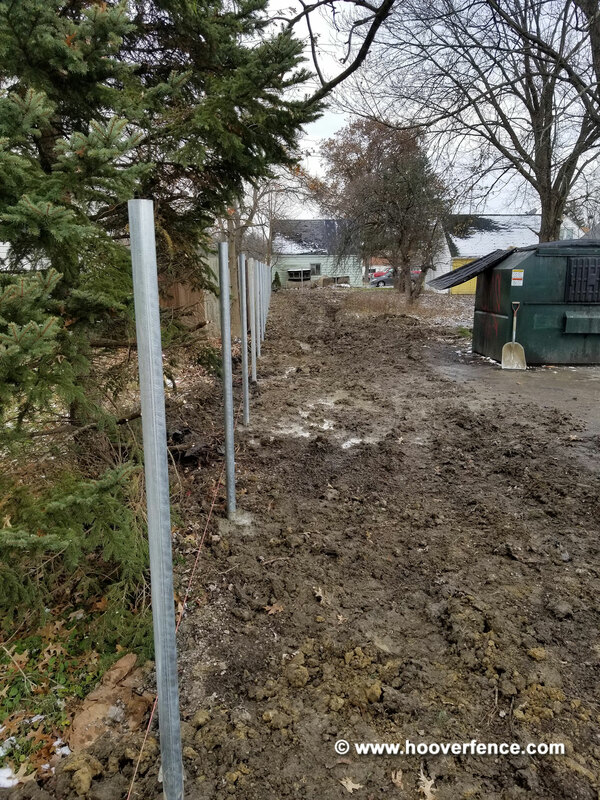 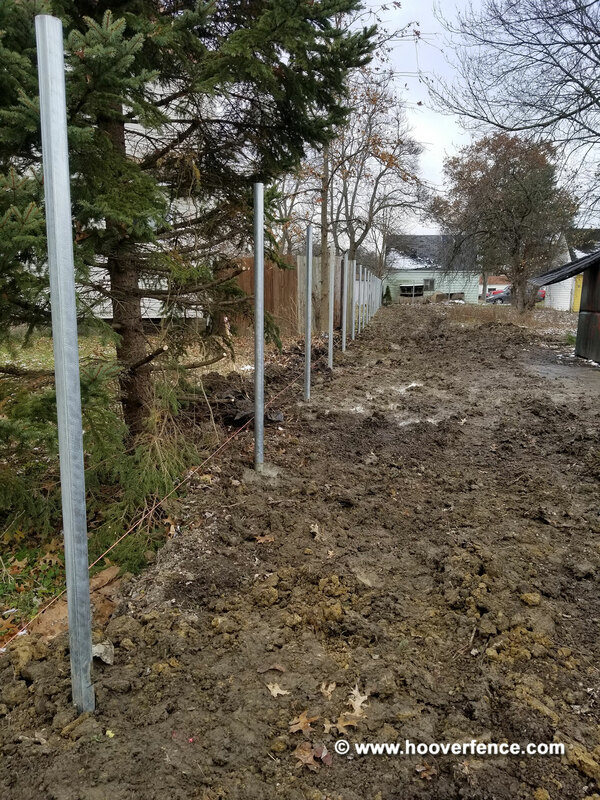 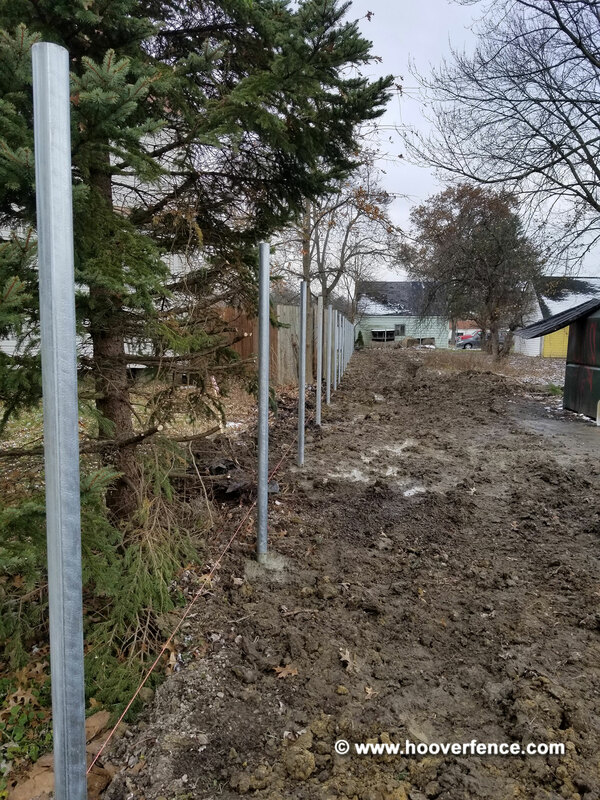 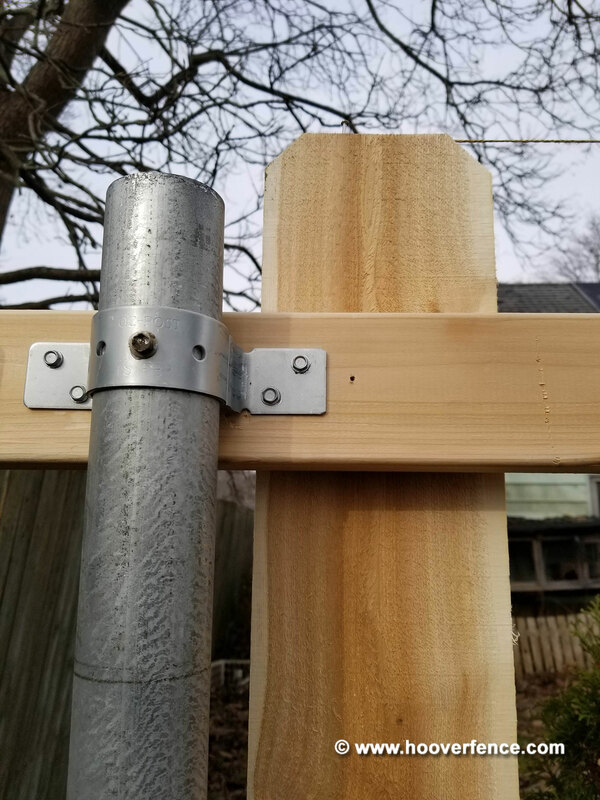 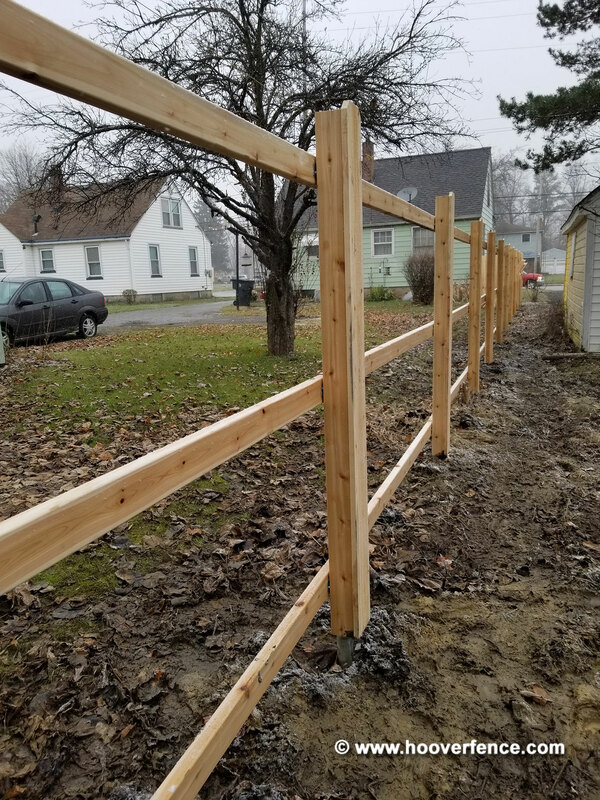 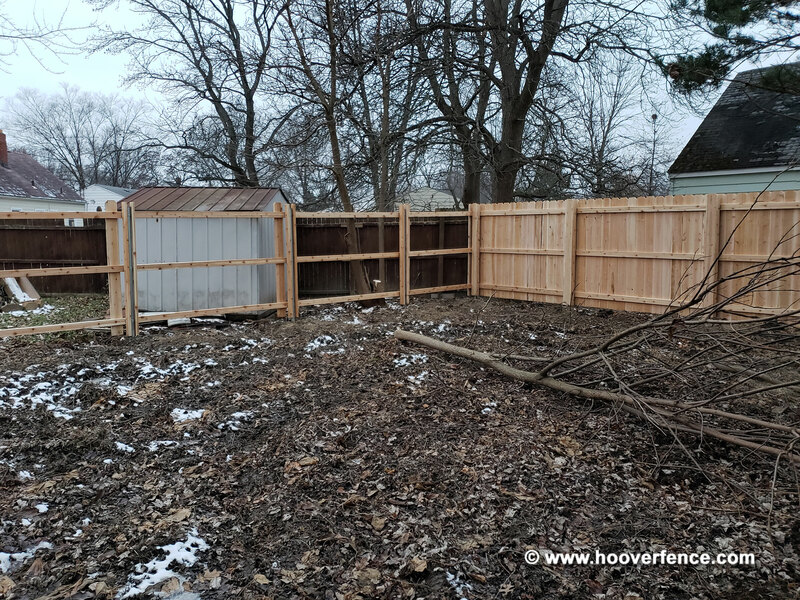 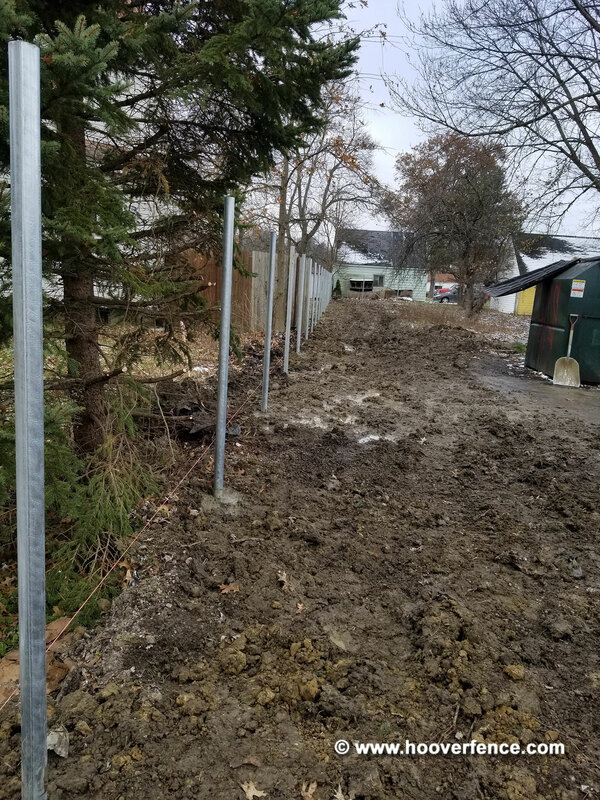 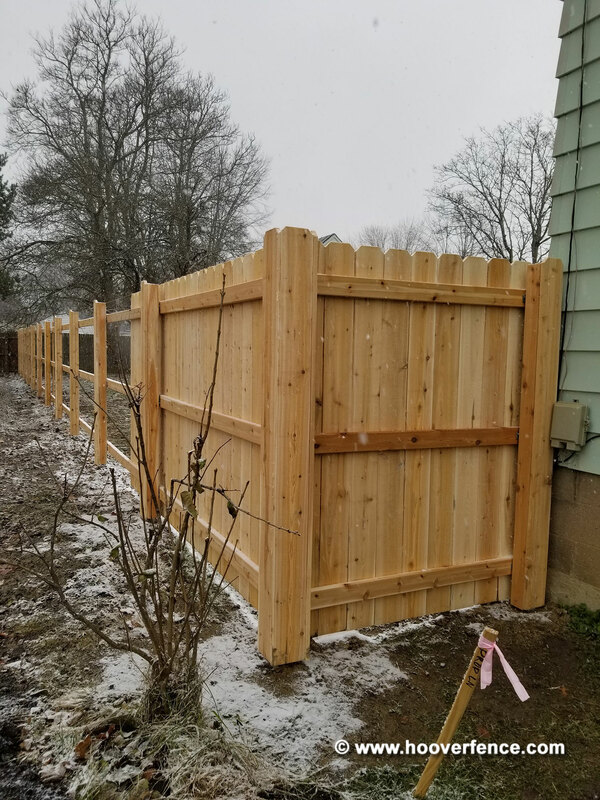 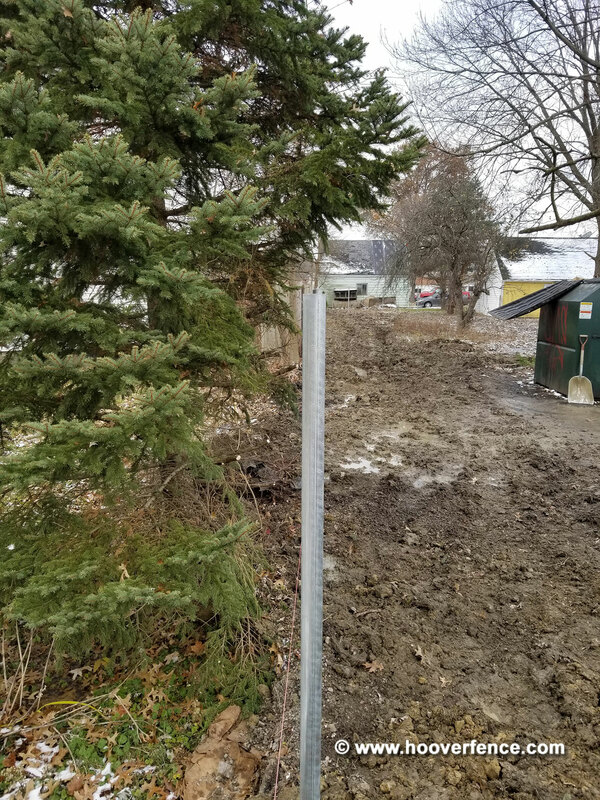 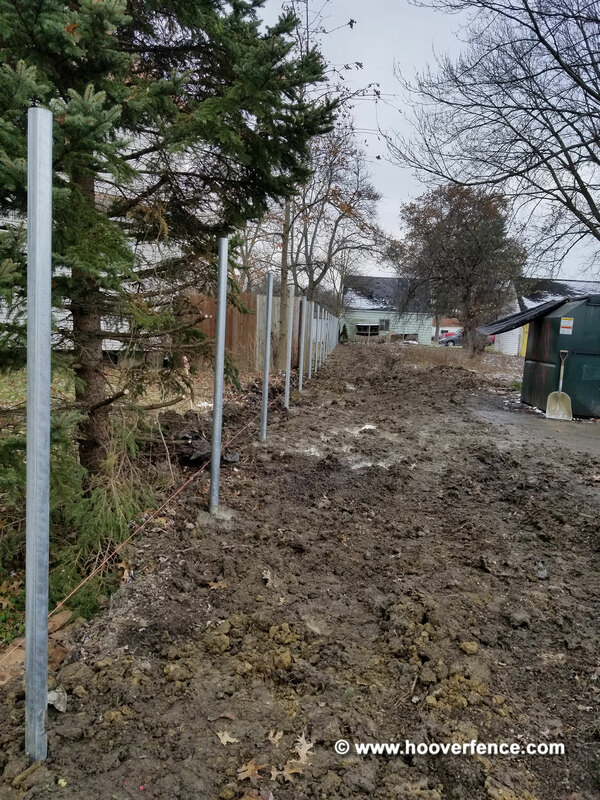 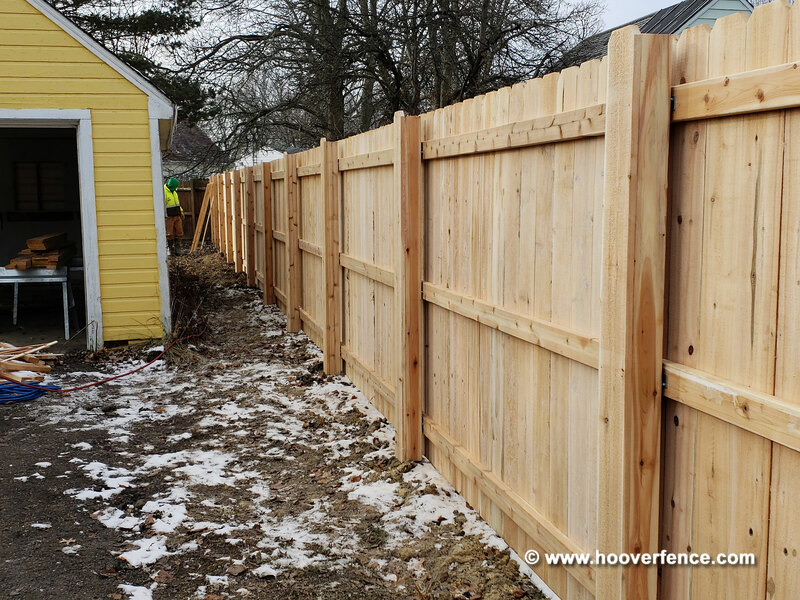 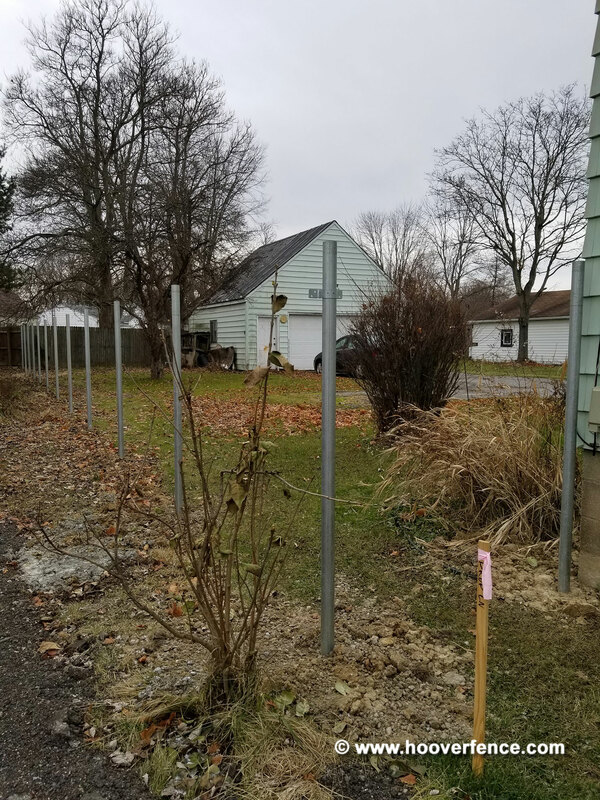 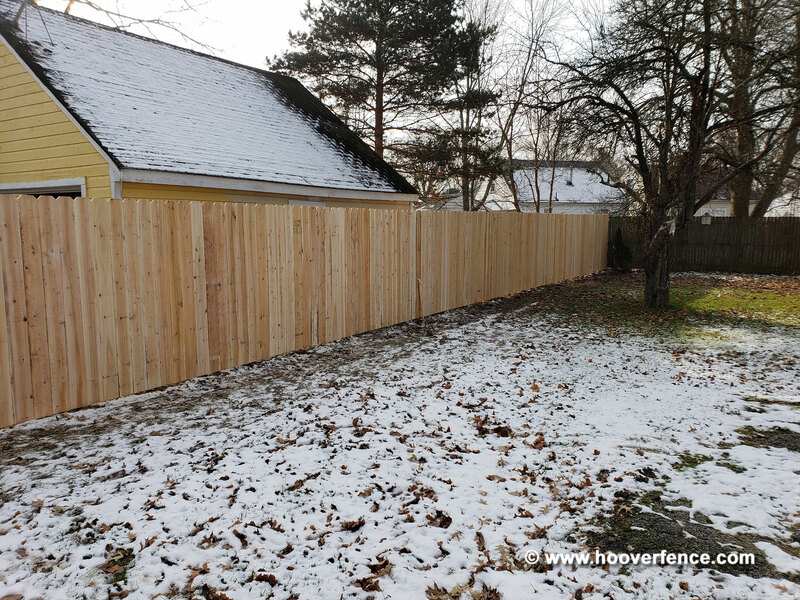 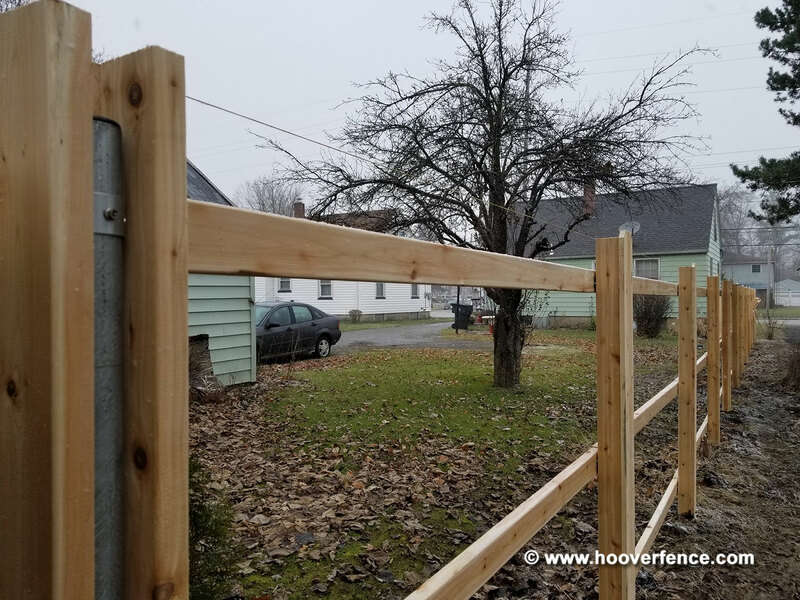 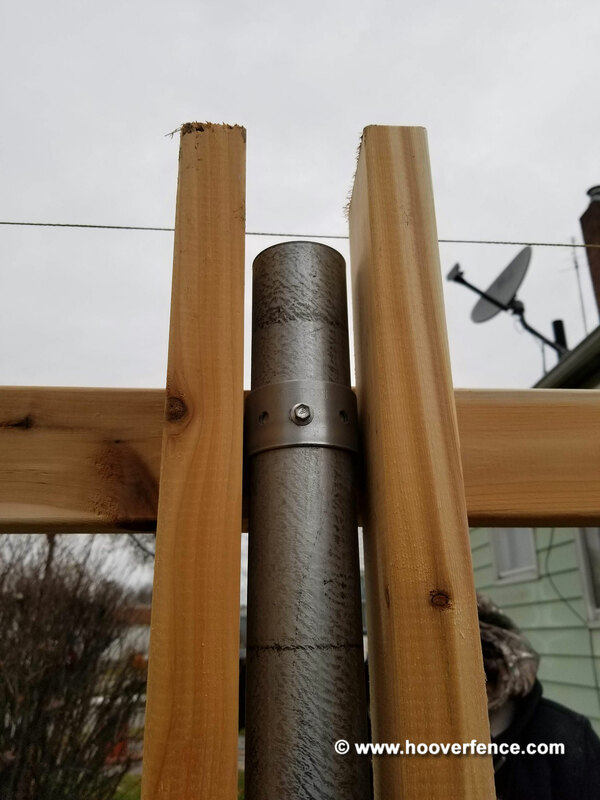 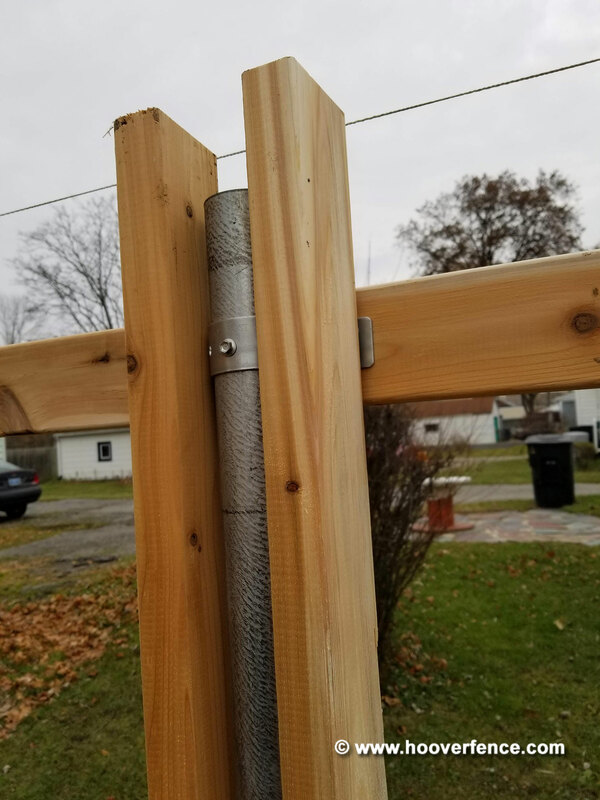 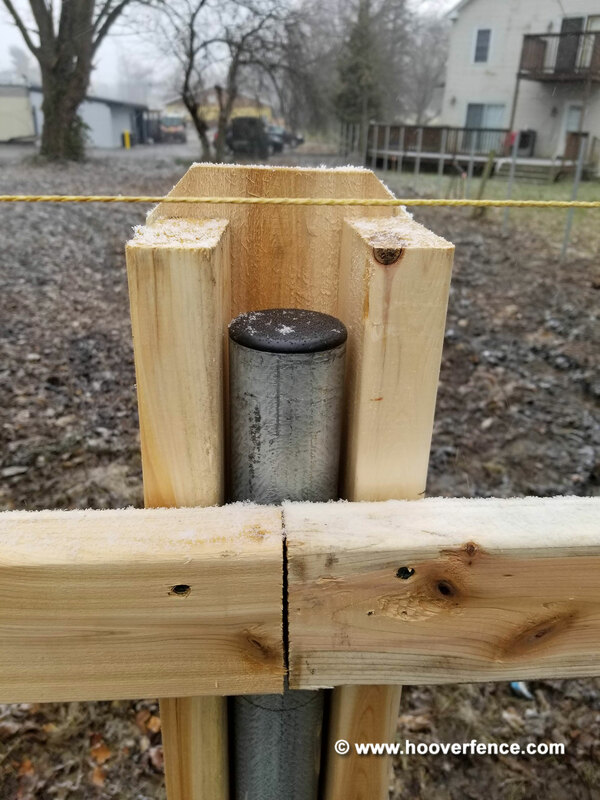 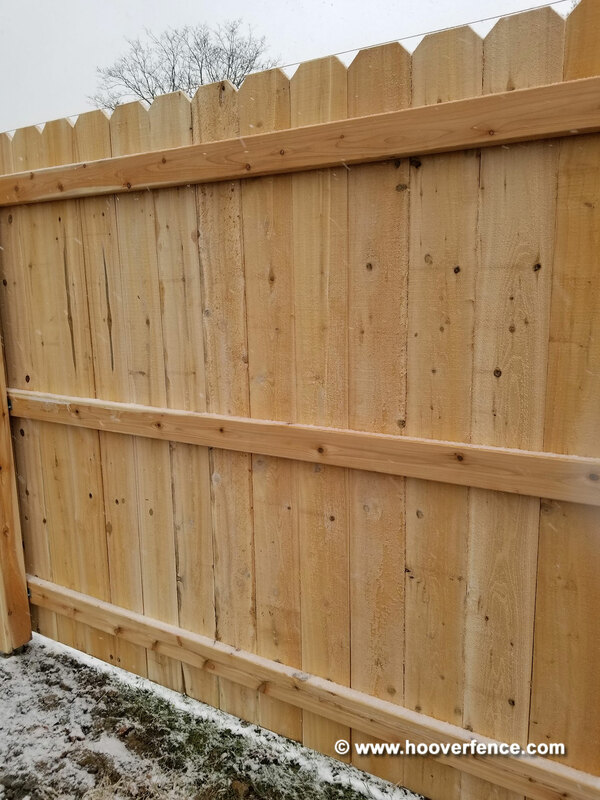 Here is a recent installation of 6' high solid dog ear fence, which was 'stick-built' with cedar lumber, heavy duty HF40 galvanized steel posts, and OZCO IS-FBS wood to steel fence brackets. 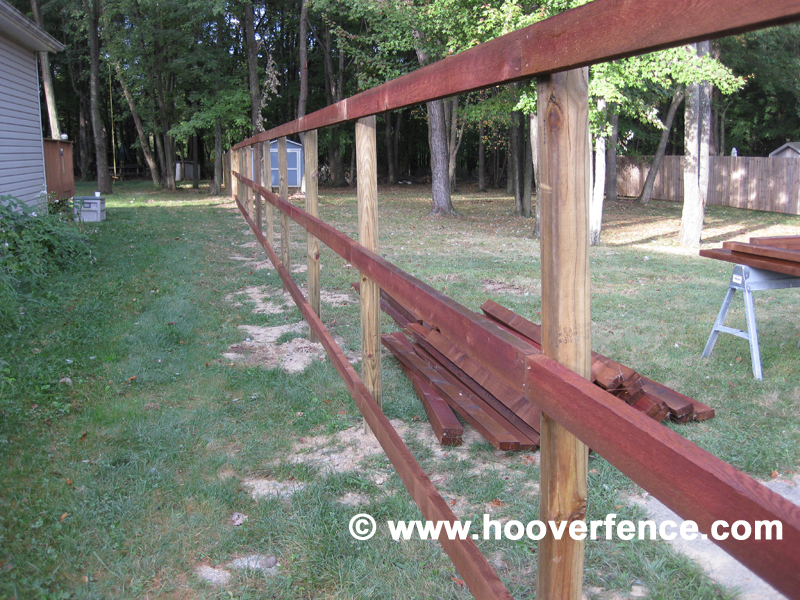 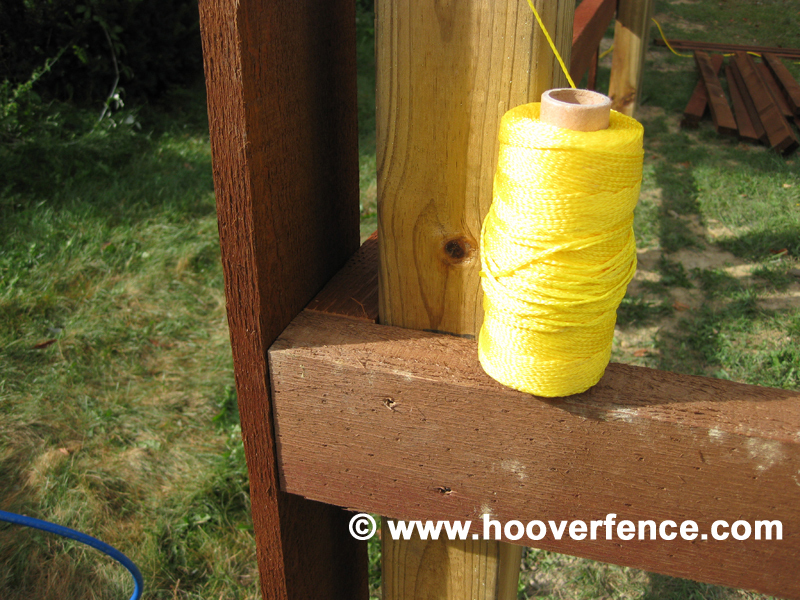 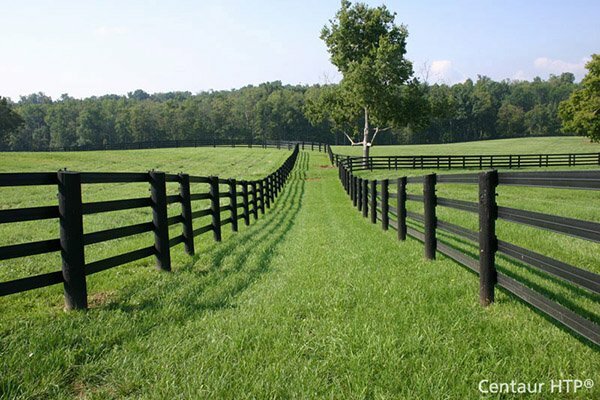 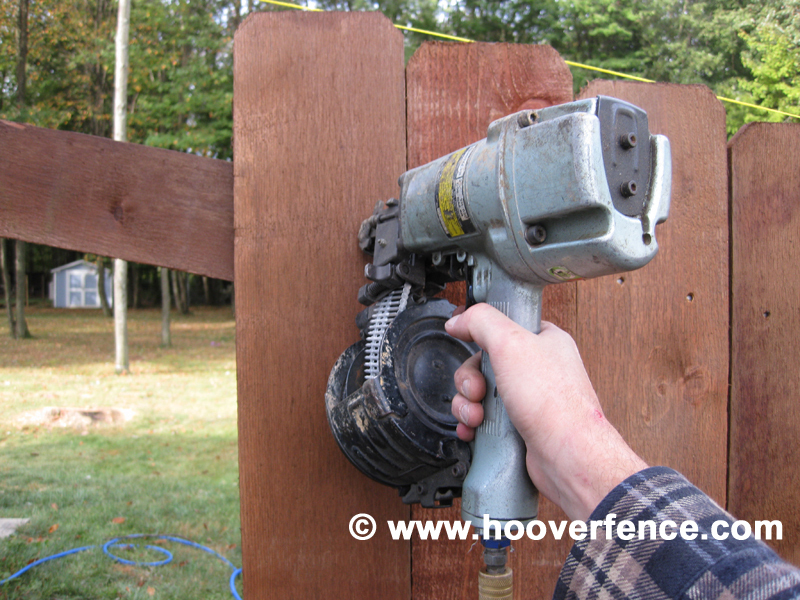 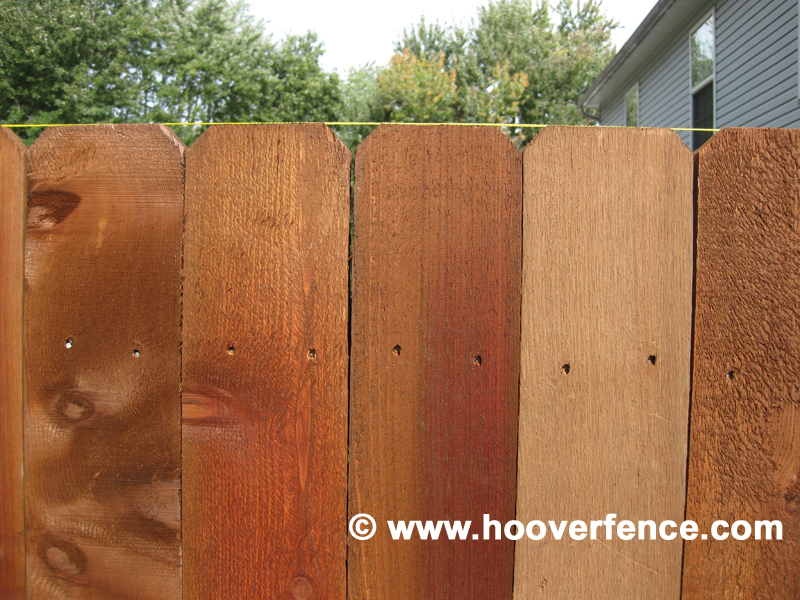 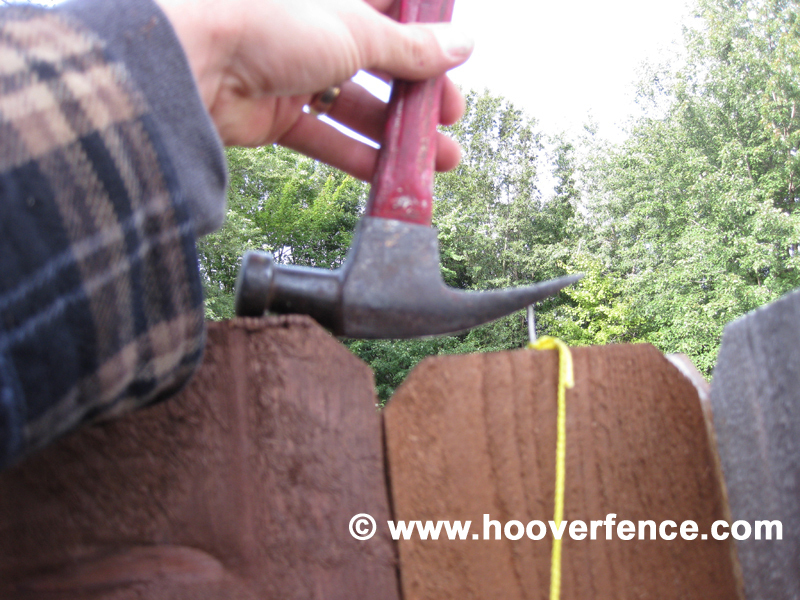 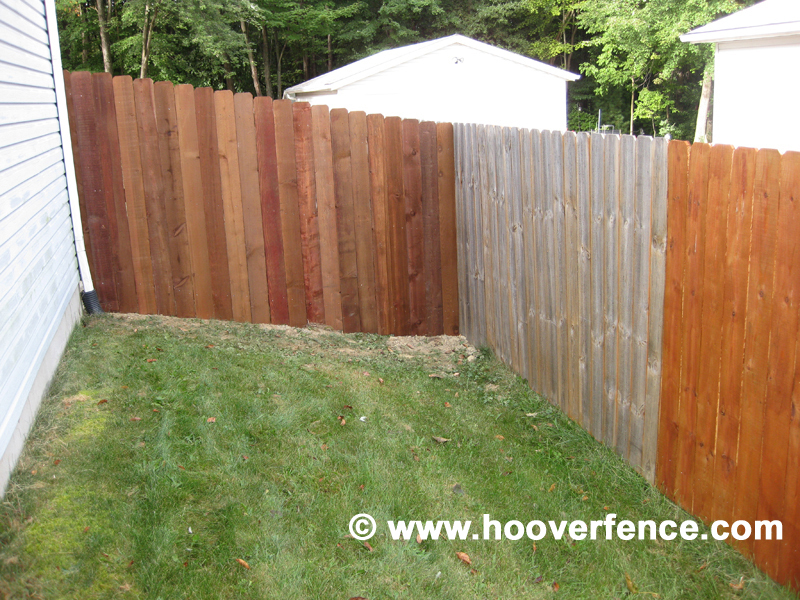 Here is a Hoover Fence Co. 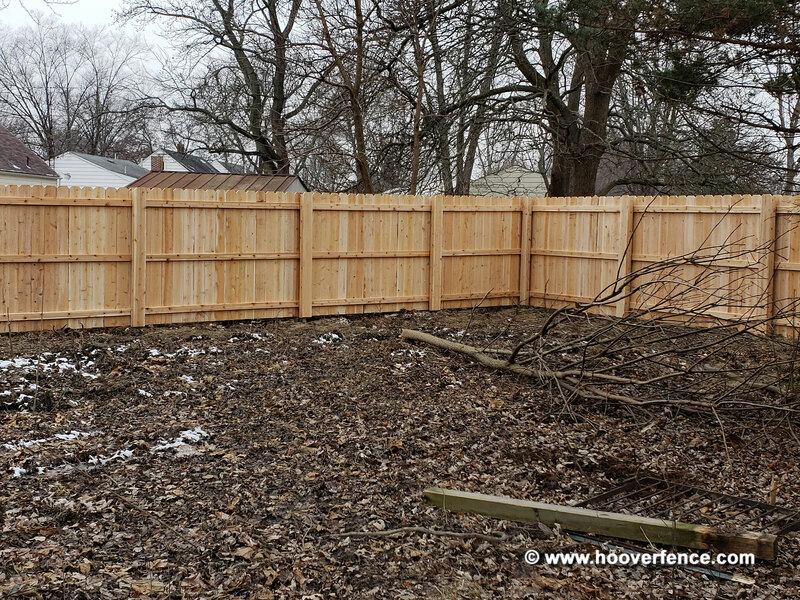 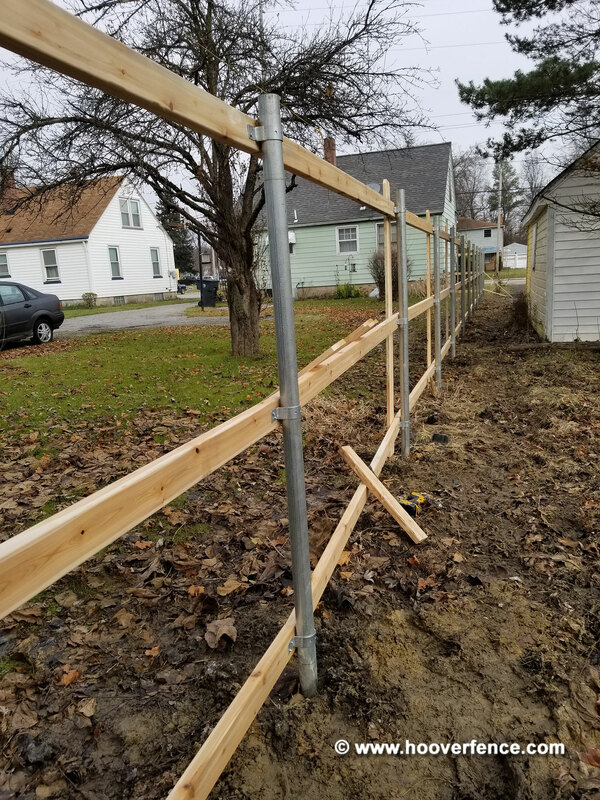 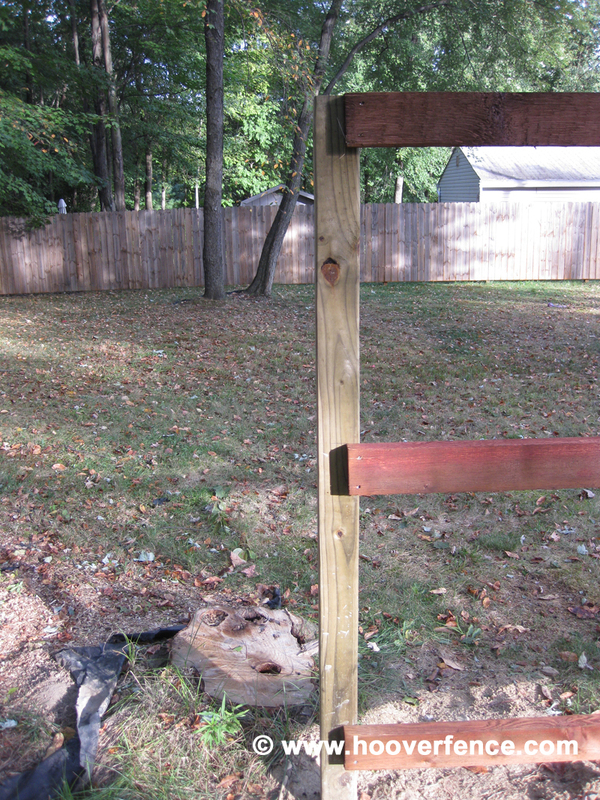 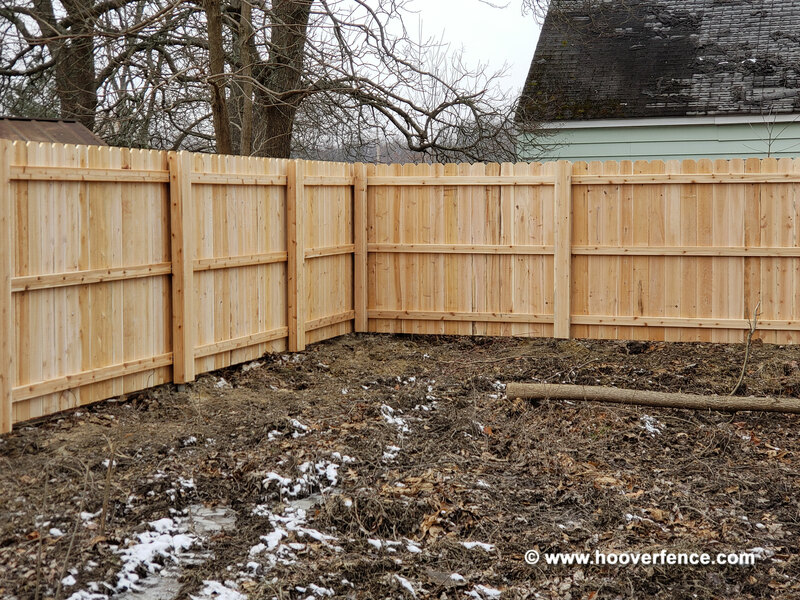 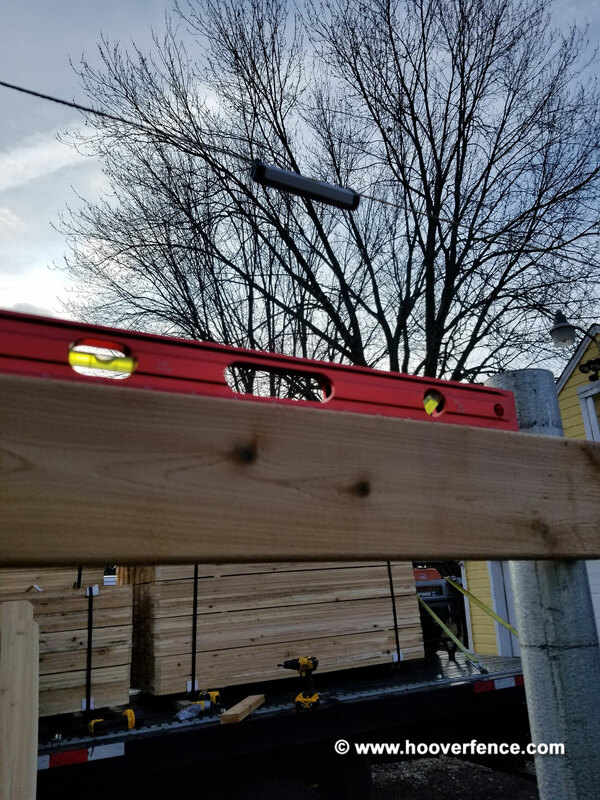 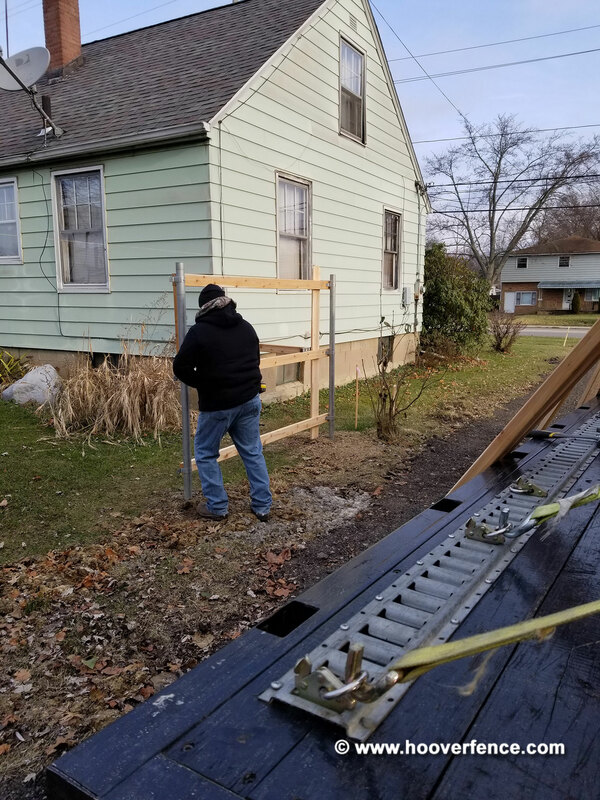 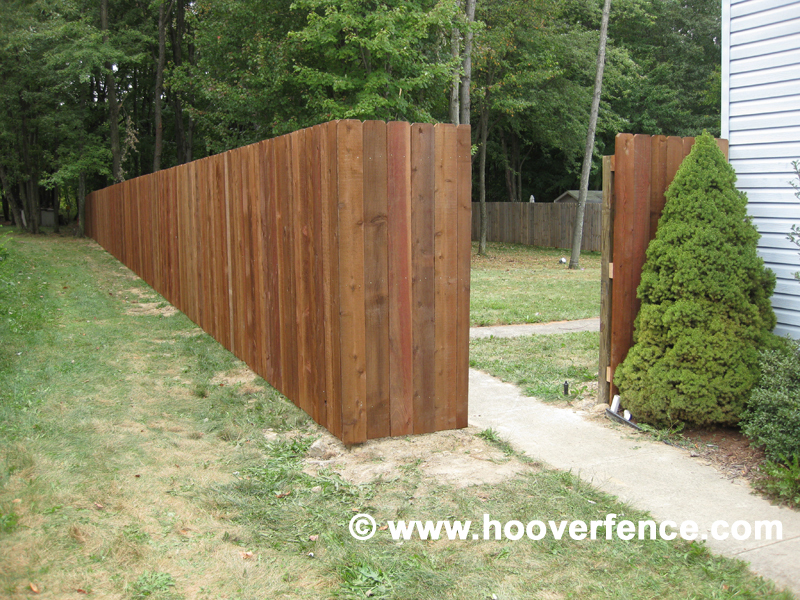 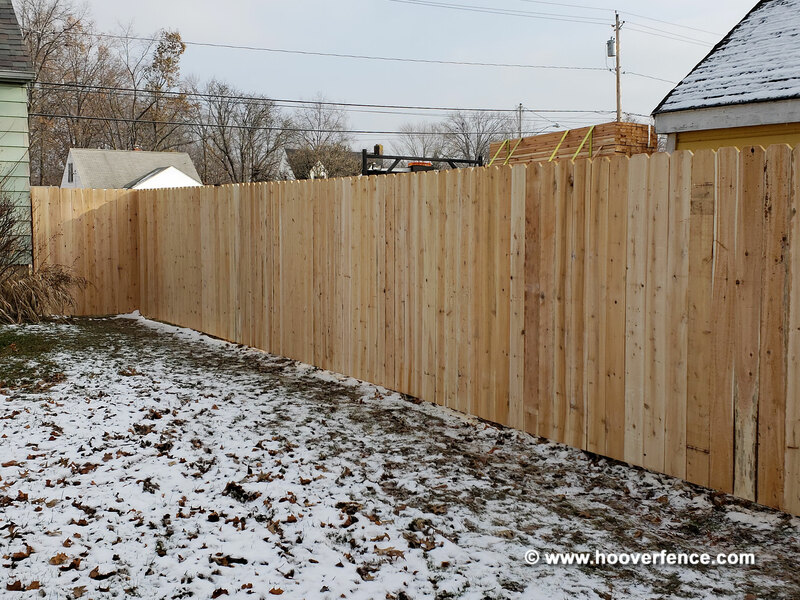 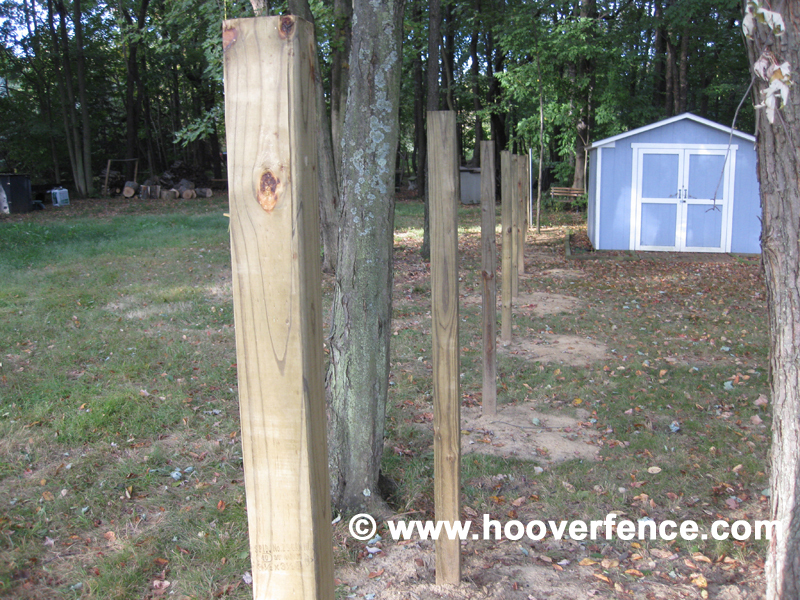 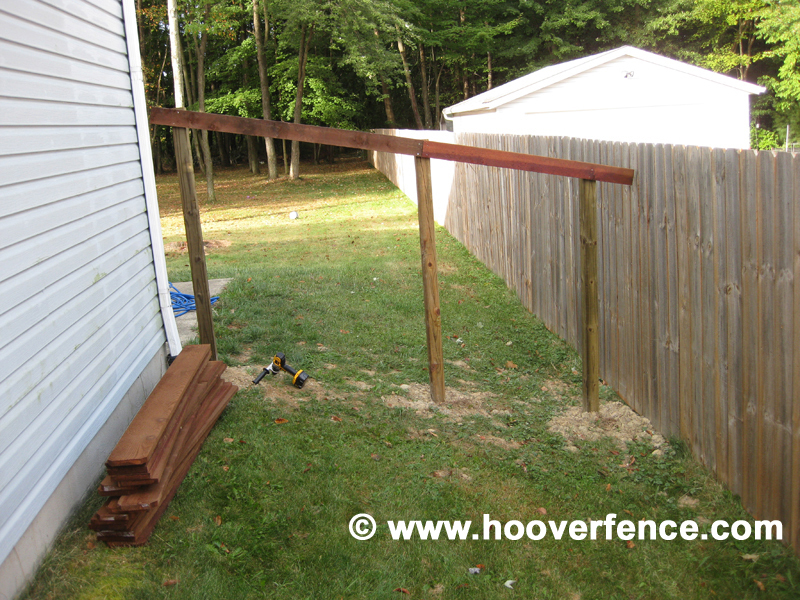 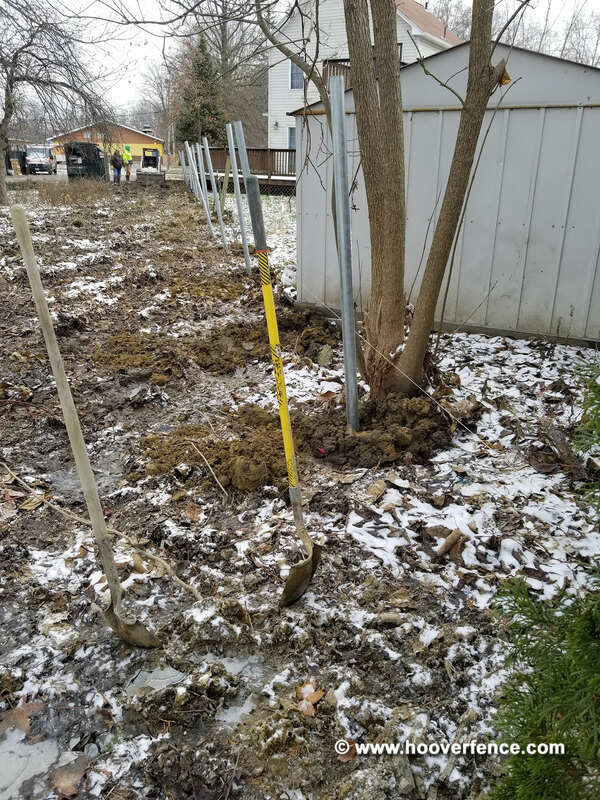 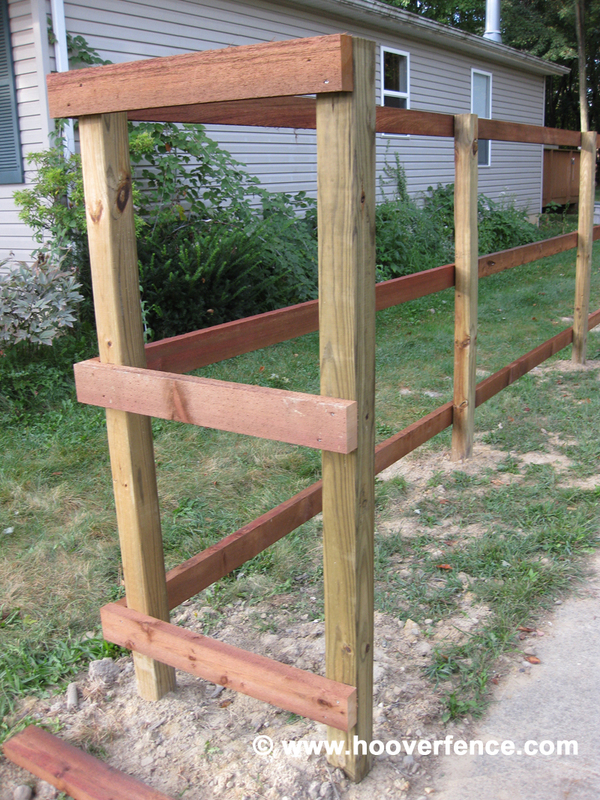 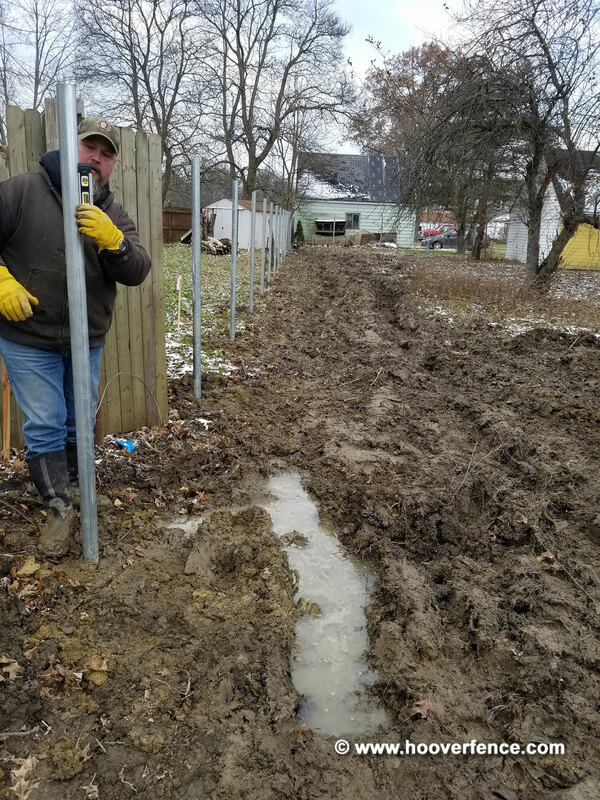 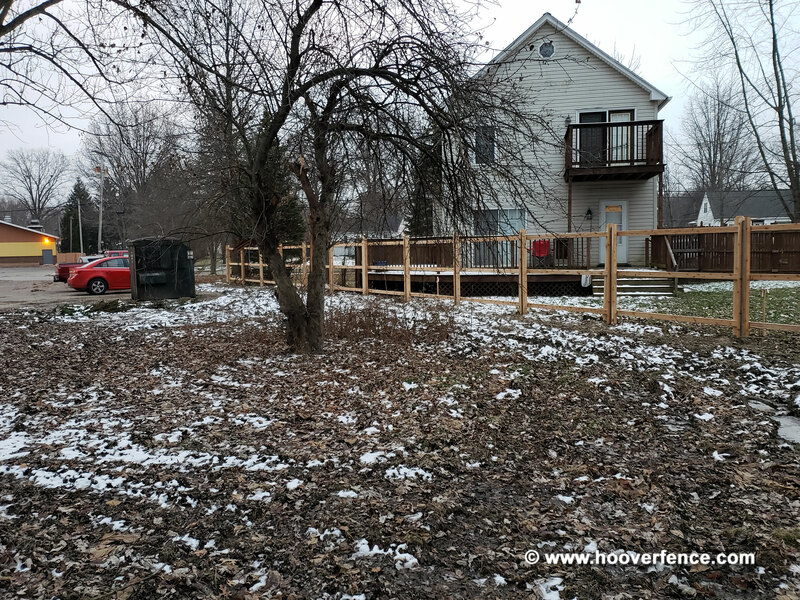 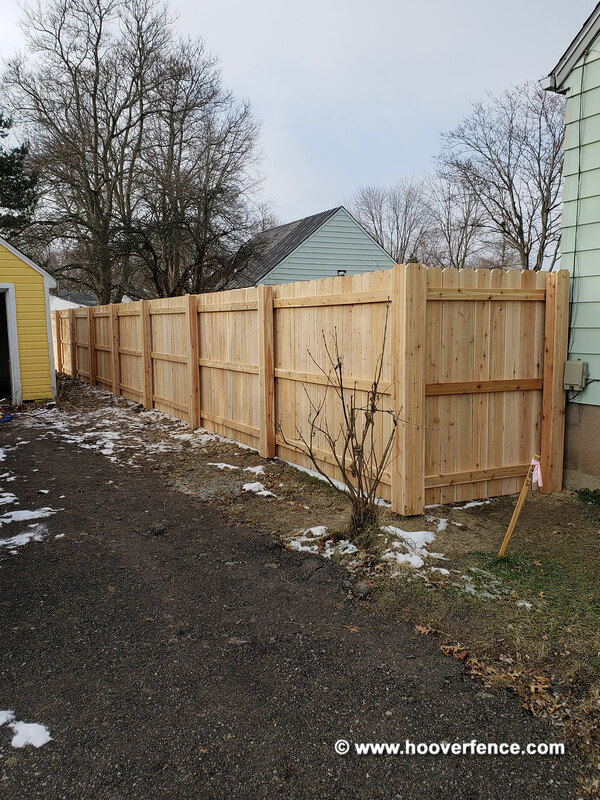 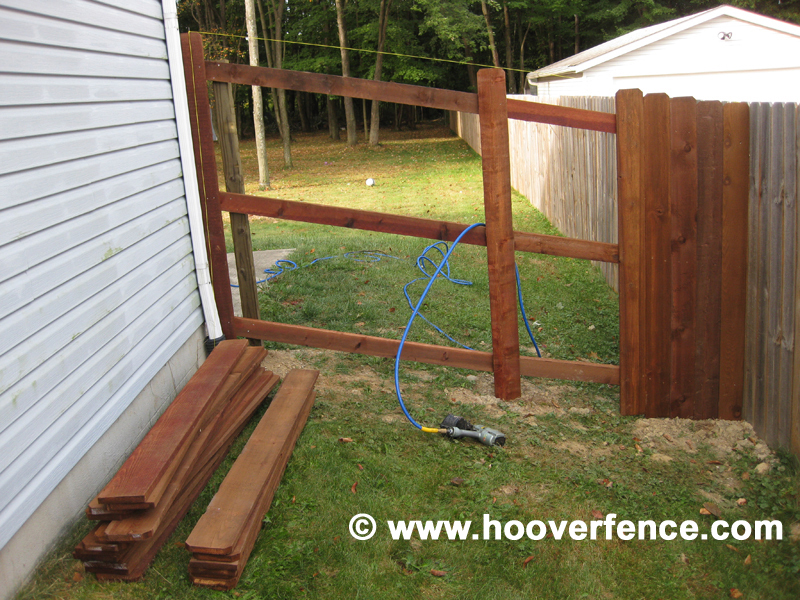 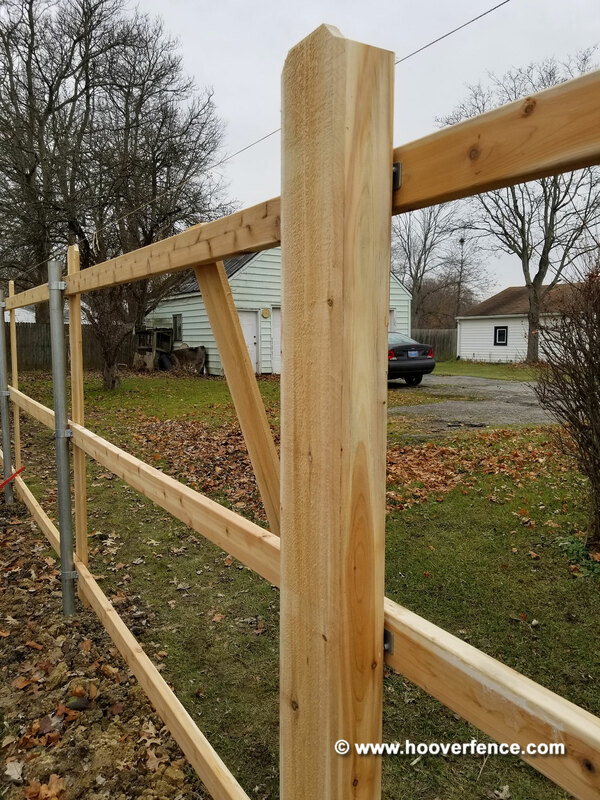 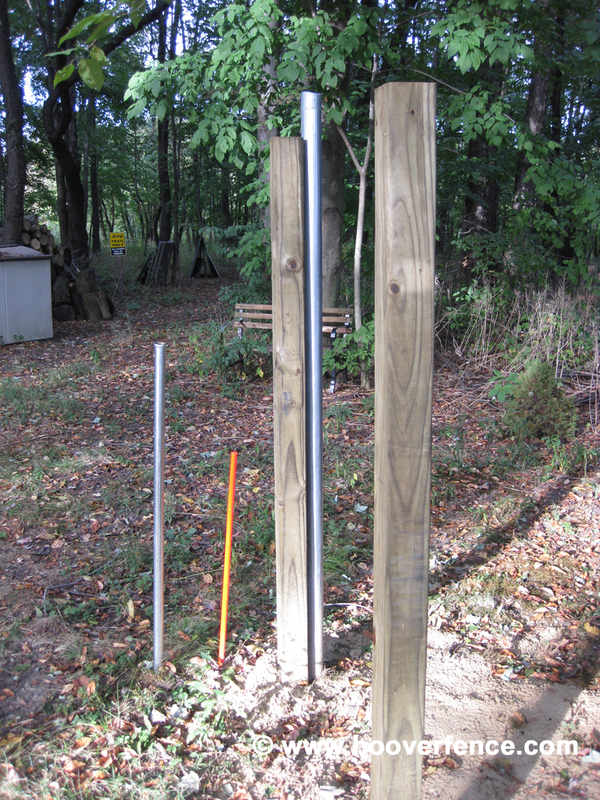 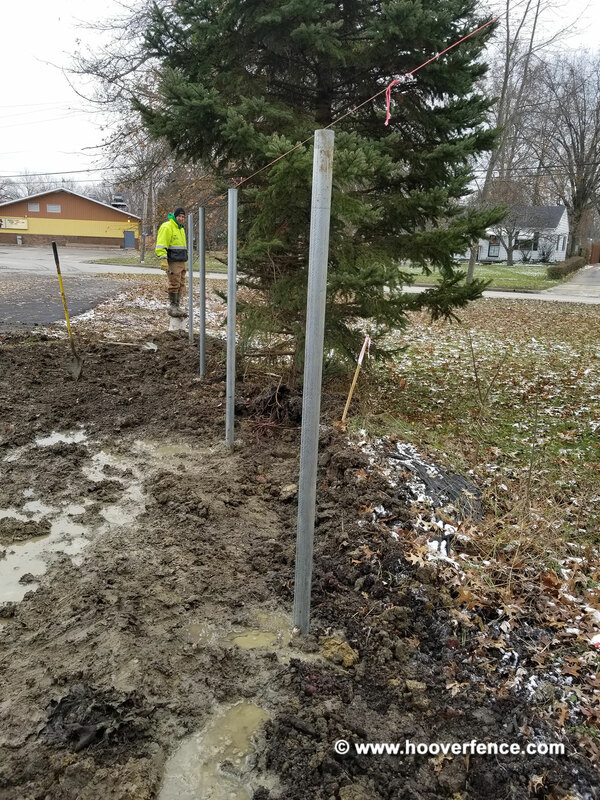 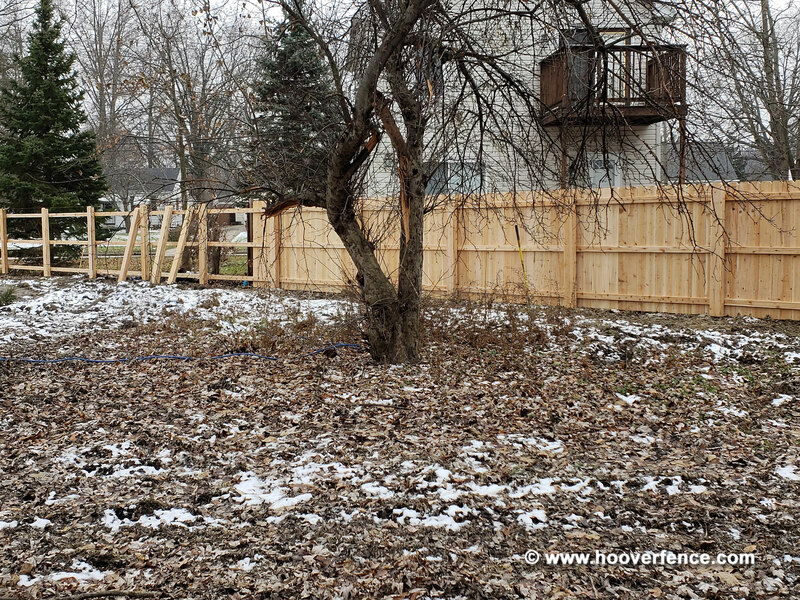 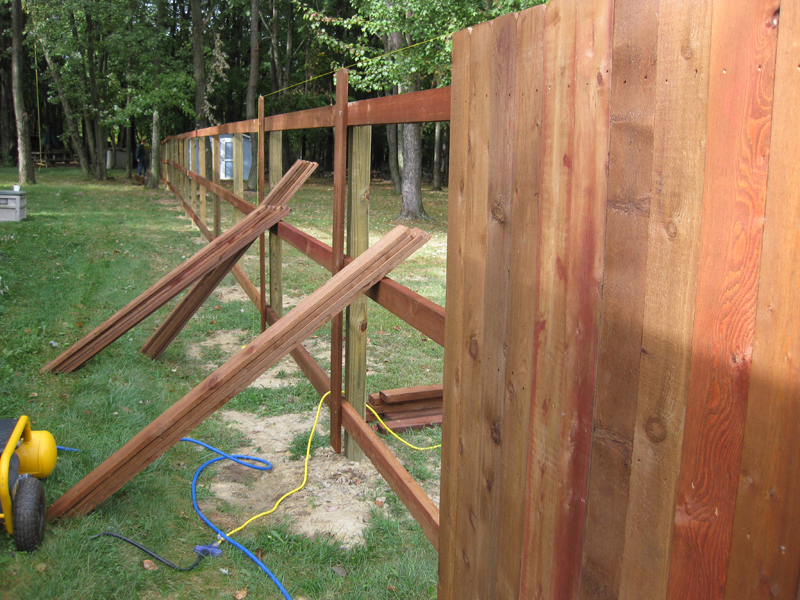 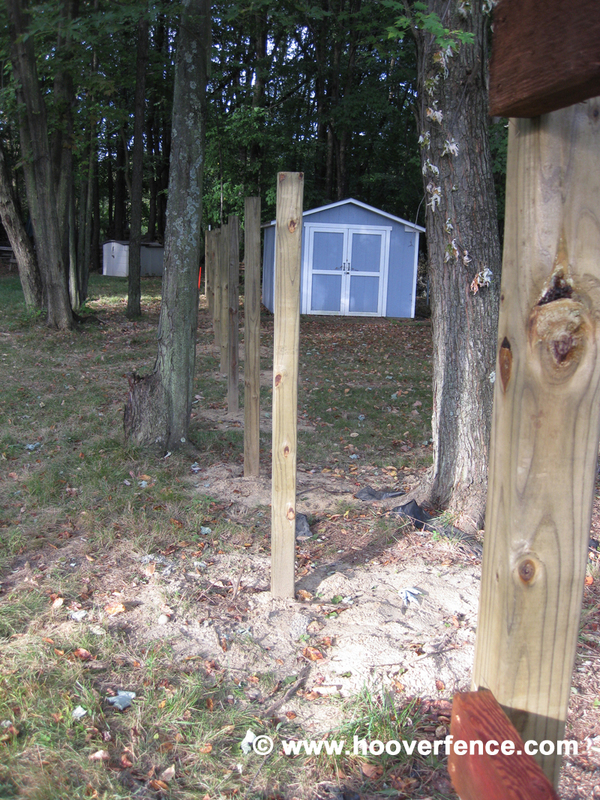 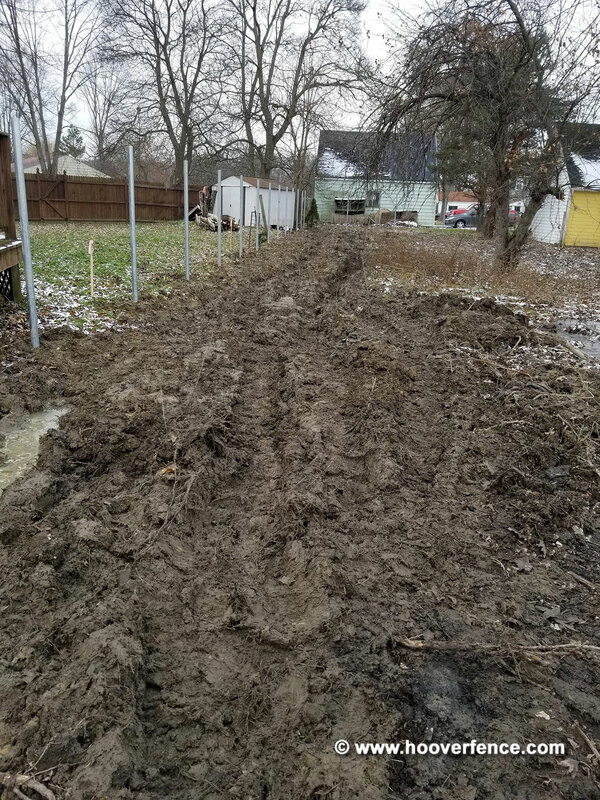 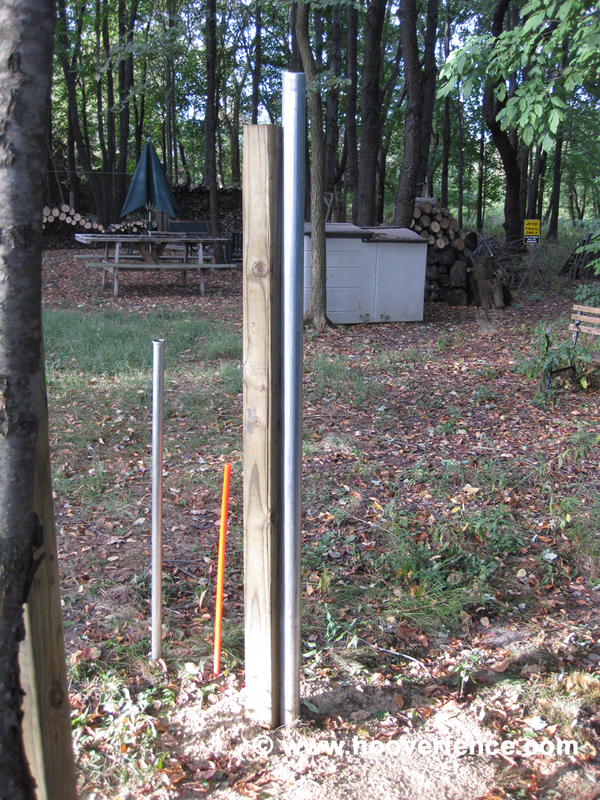 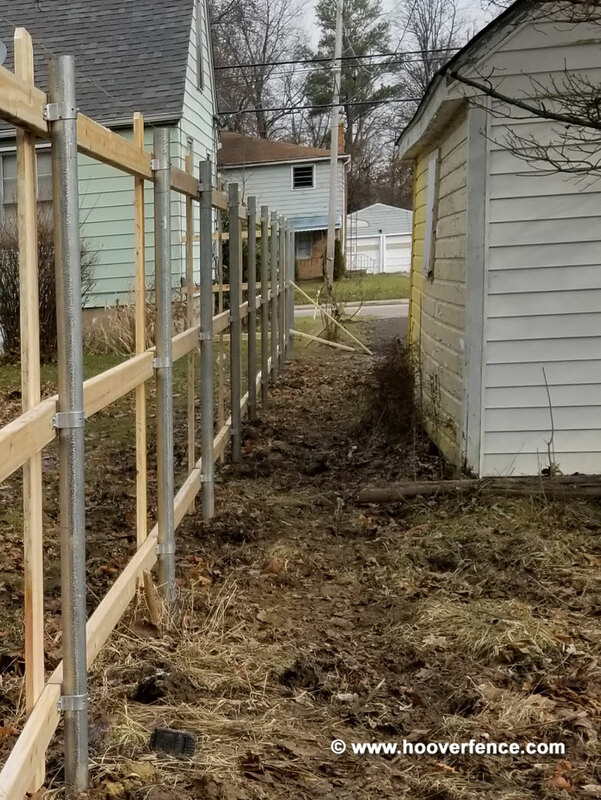 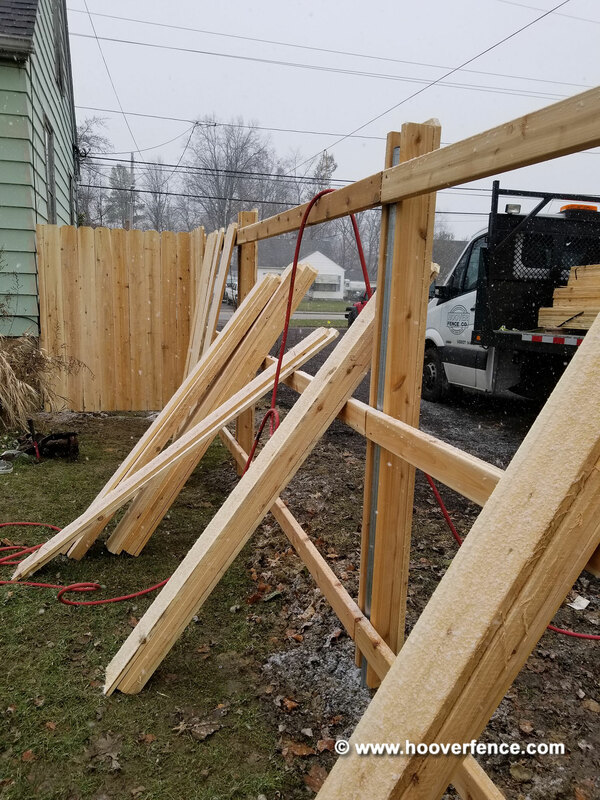 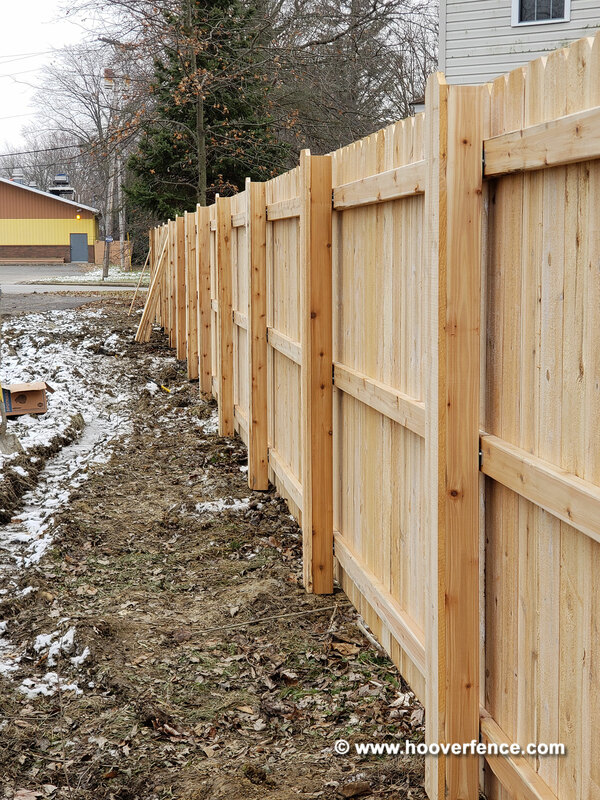 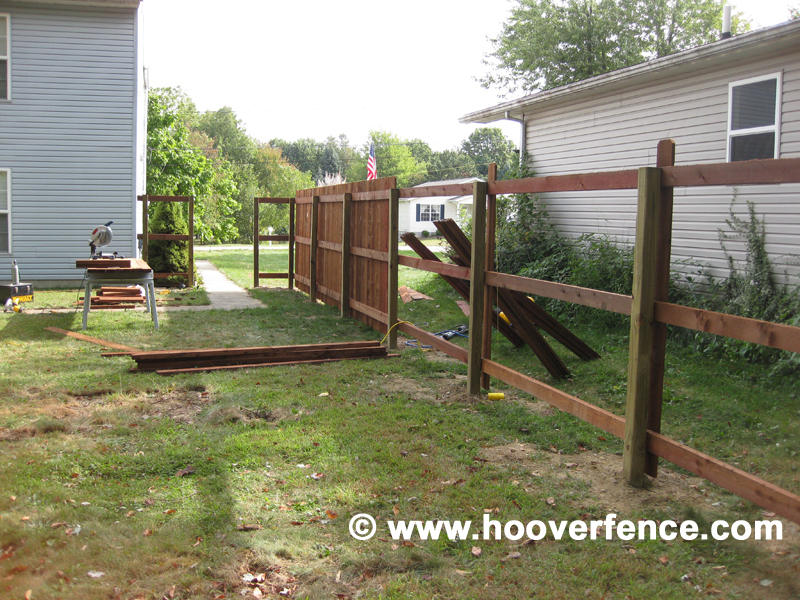 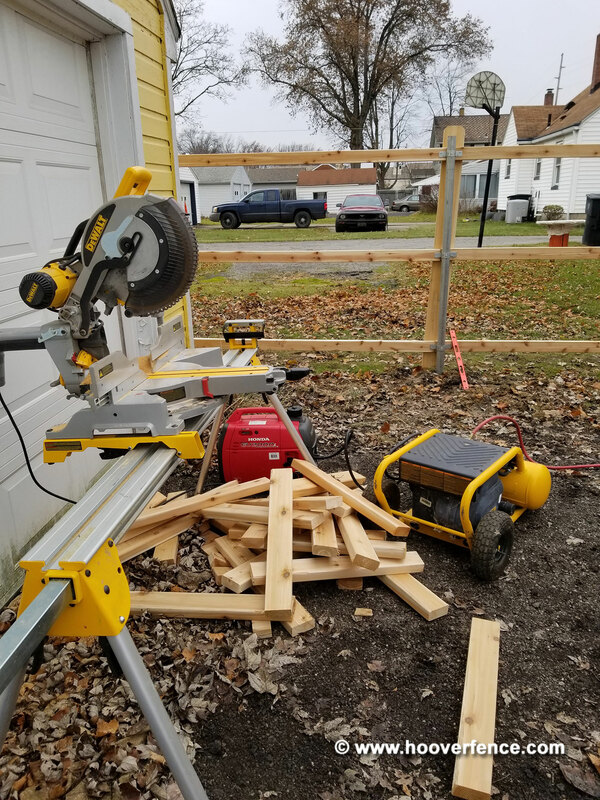 Install of 6' high solid dog ear fence, which was 'stick-built' with cedar lumber in Tallmadge, Ohio. 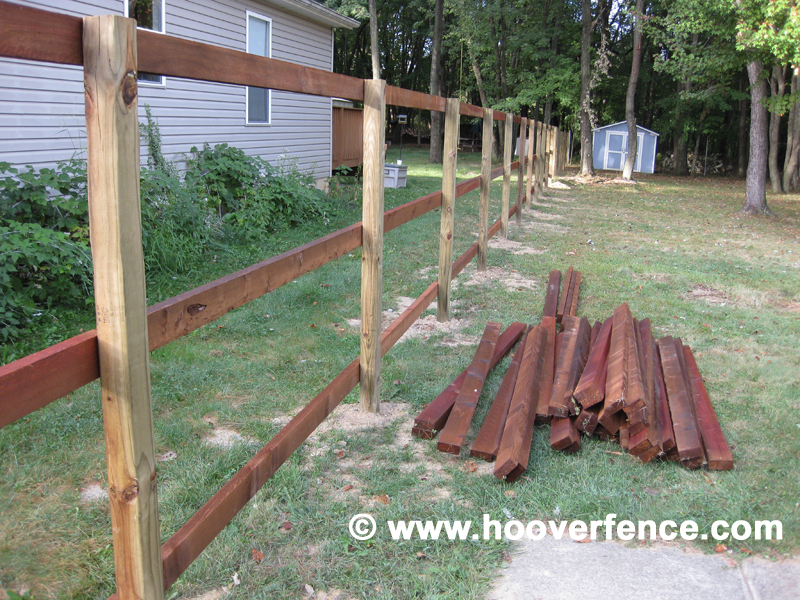 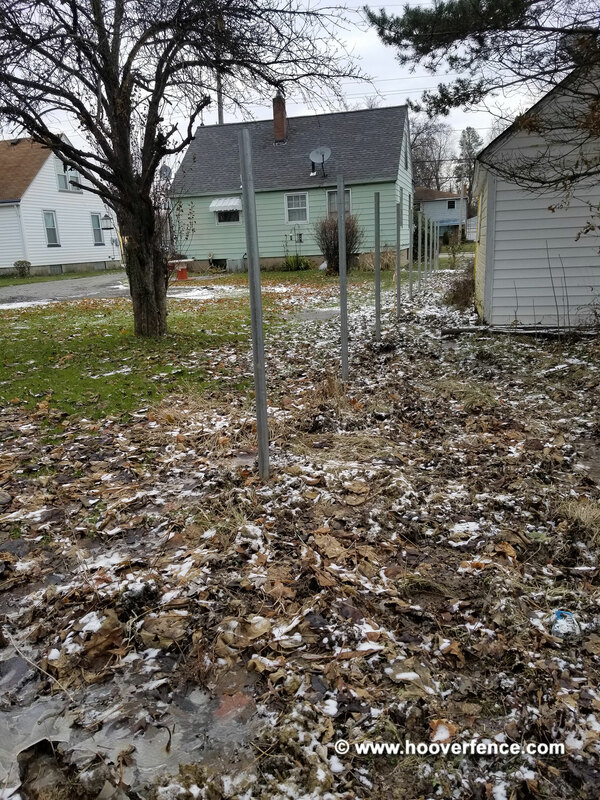 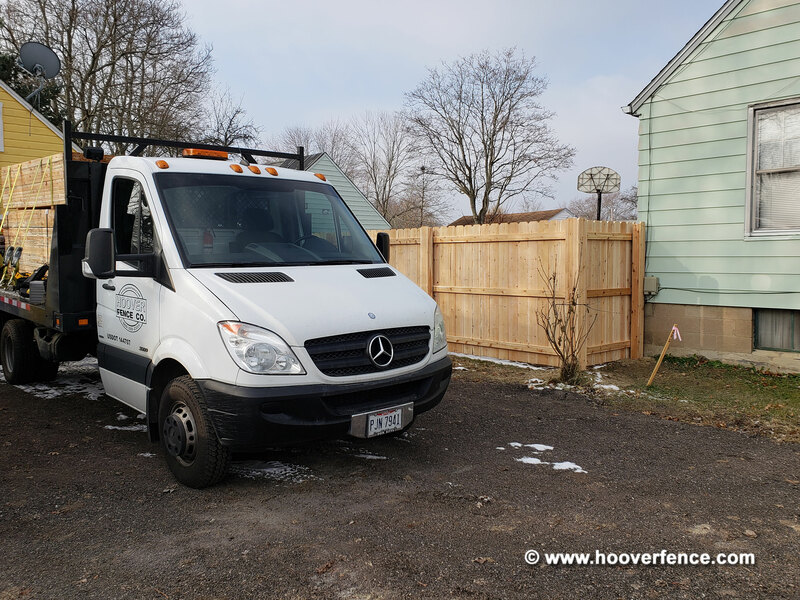 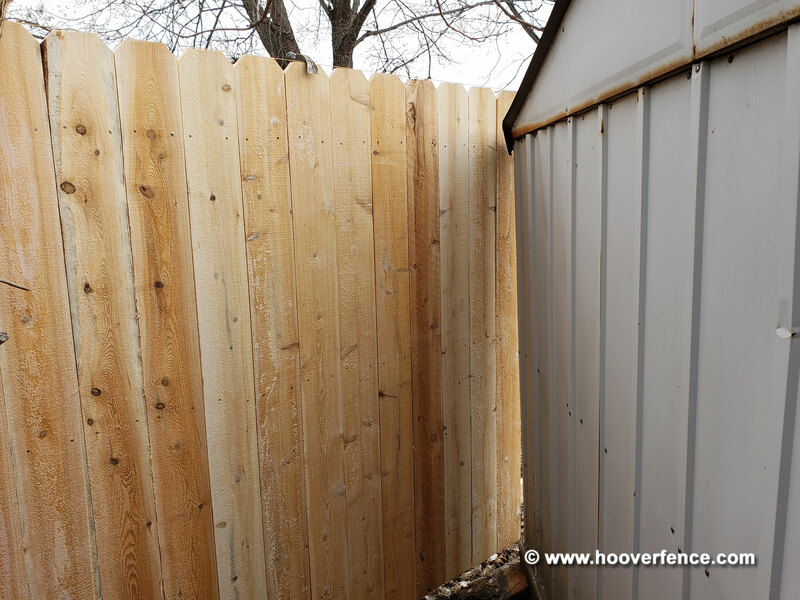 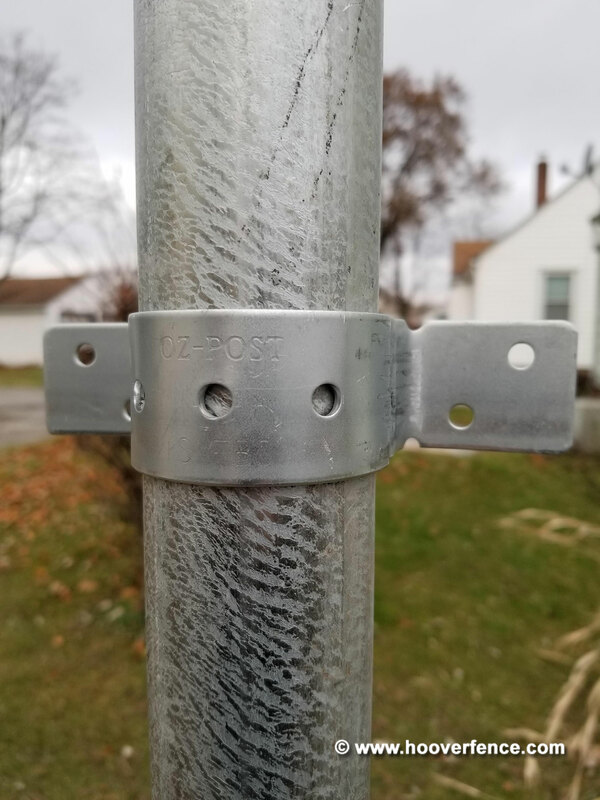 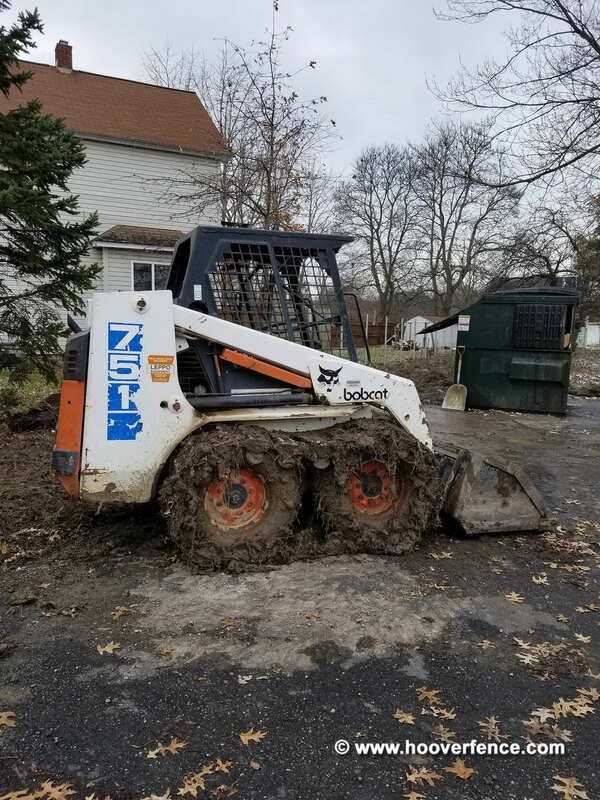 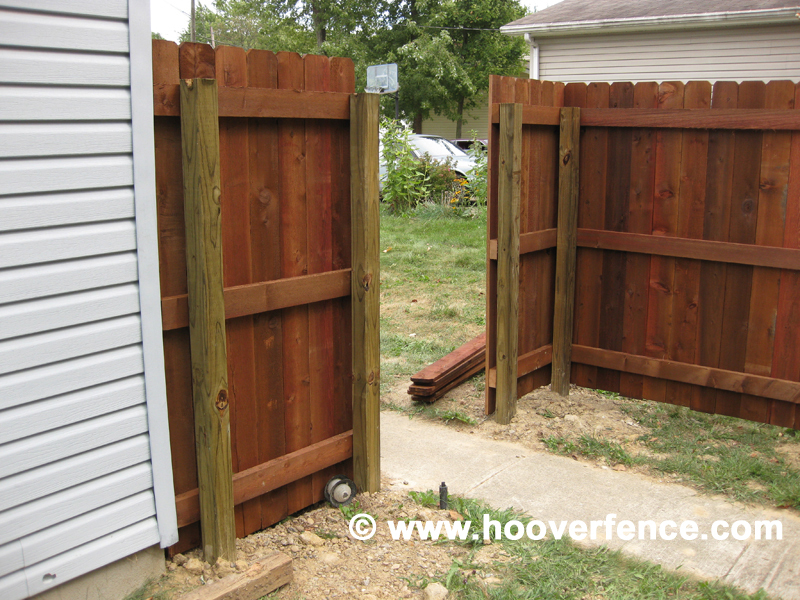 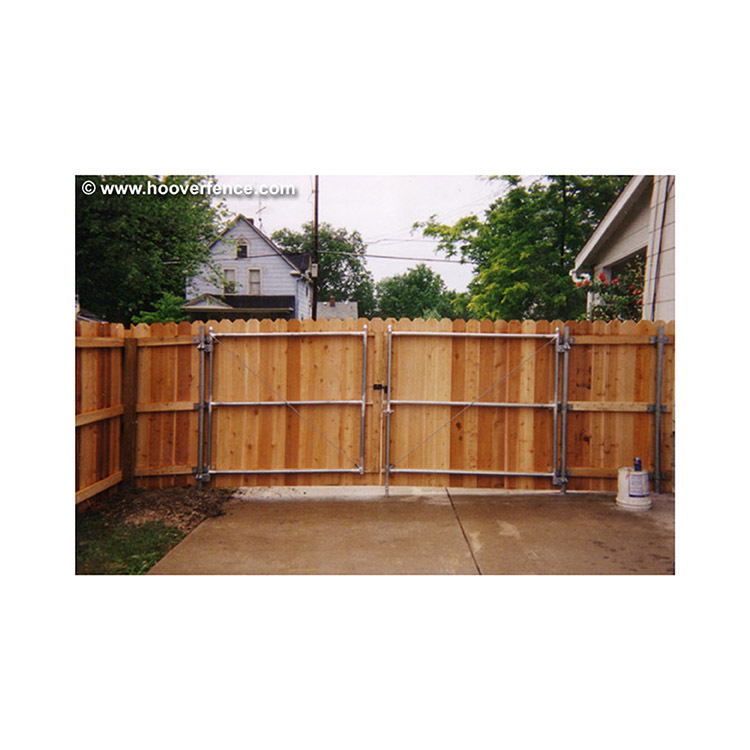 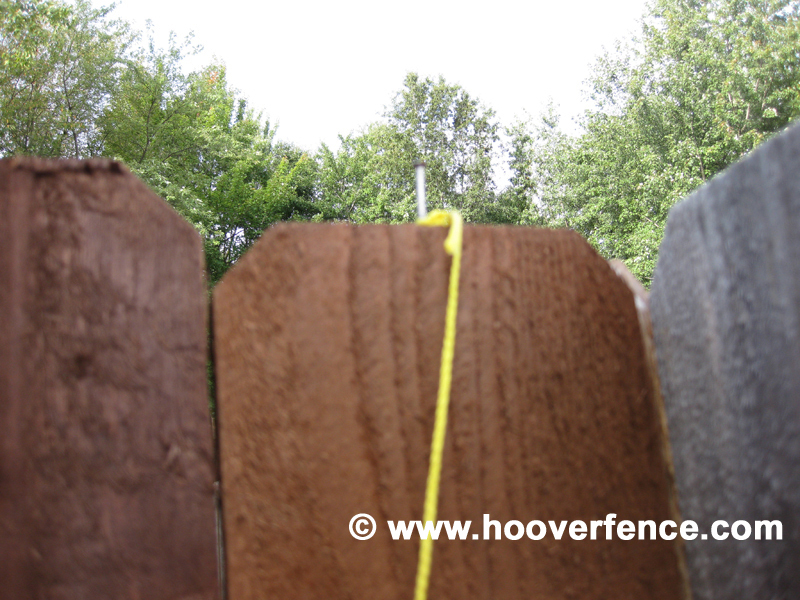 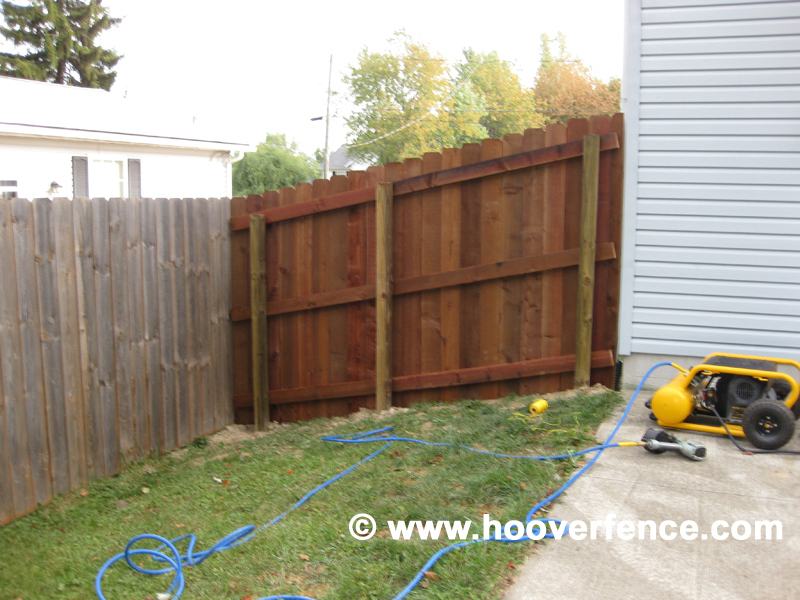 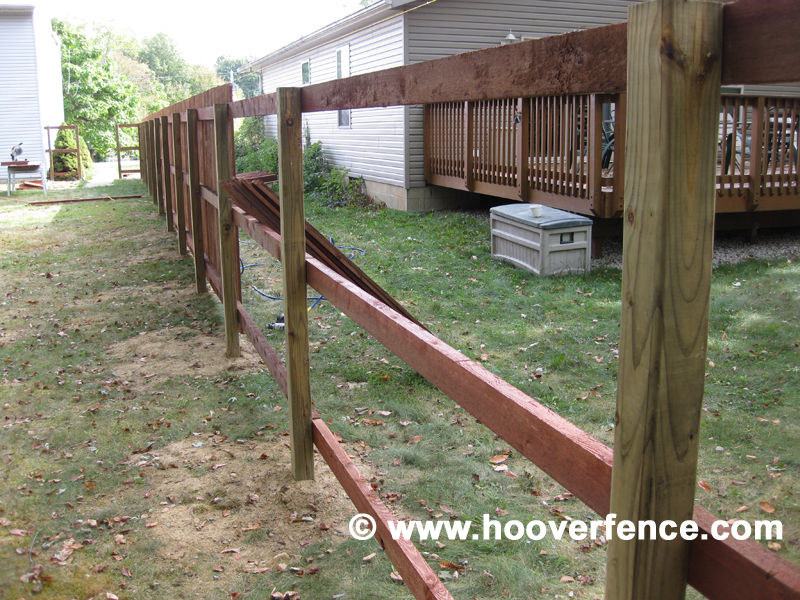 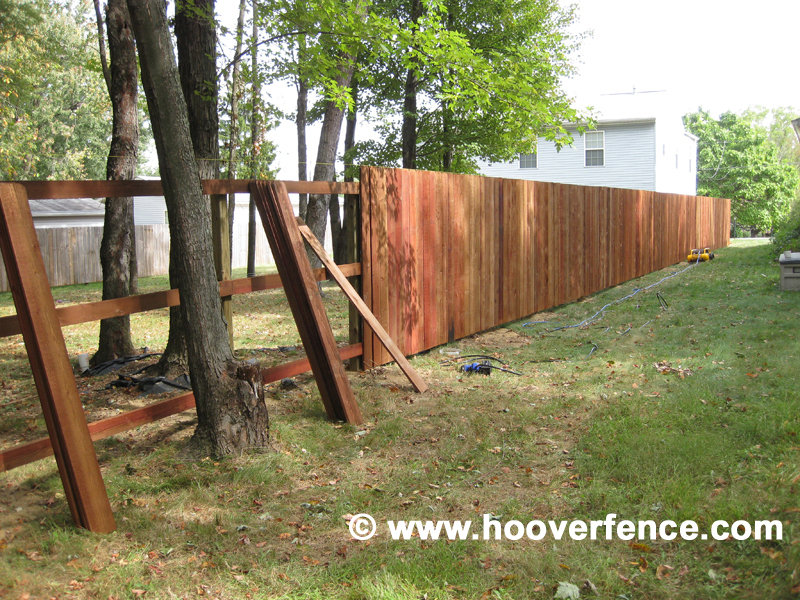 Solid Dog Ear Fence Installation by Hoover Fence Co. 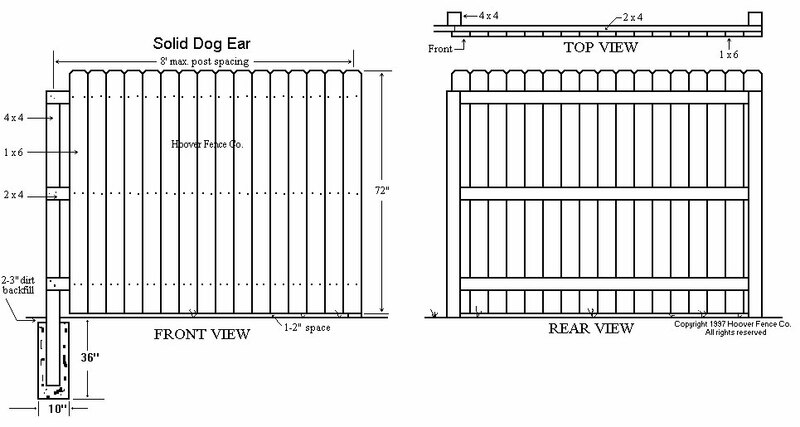 Custom Solid Dog Ear Gate By Hoover Fence Co.